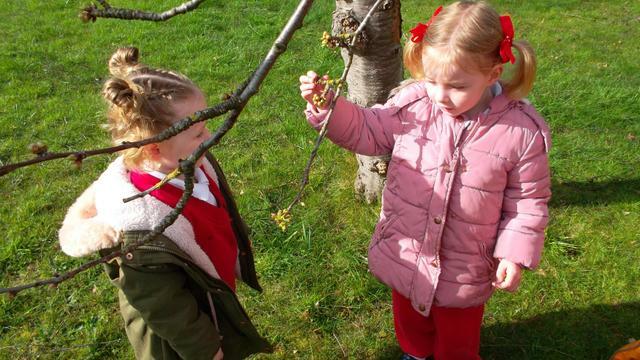 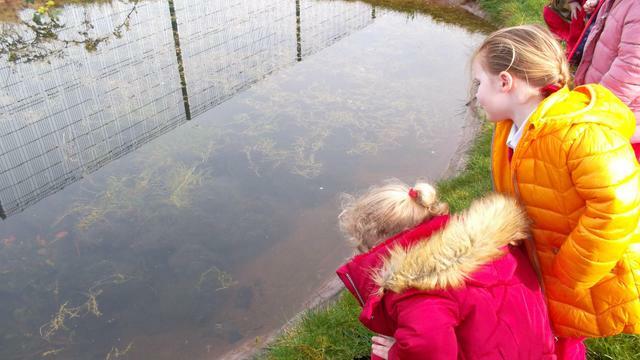 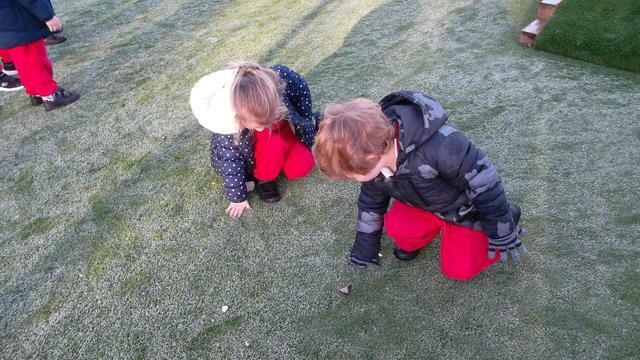 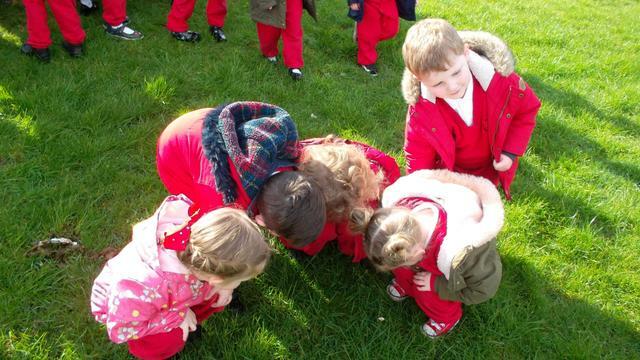 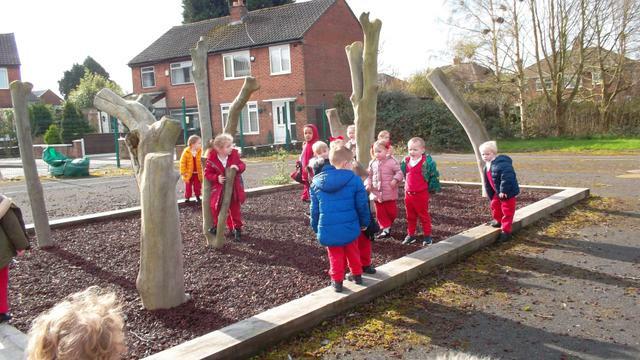 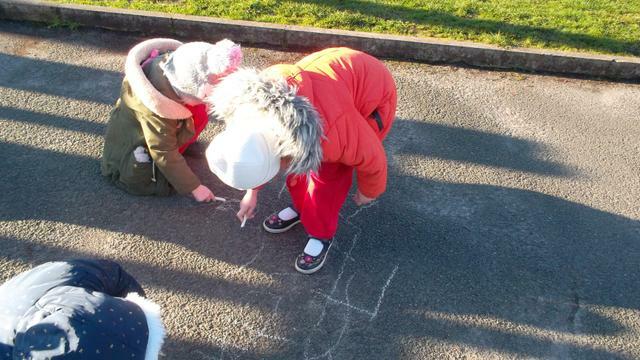 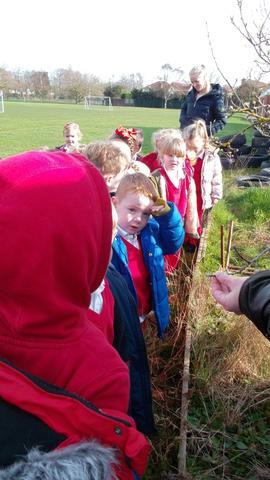 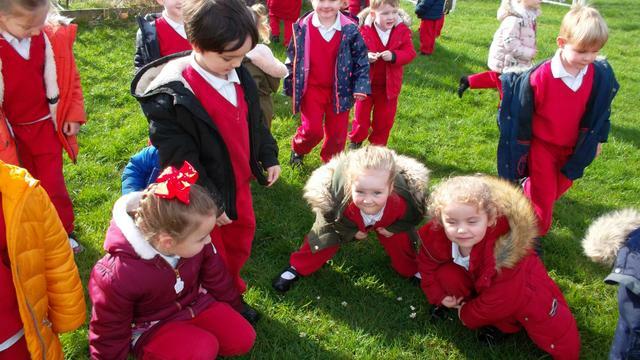 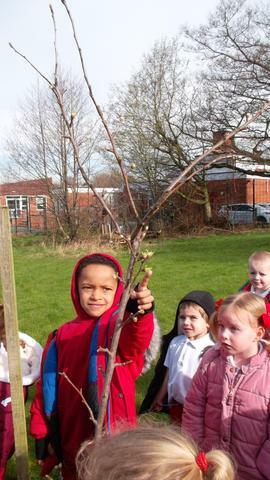 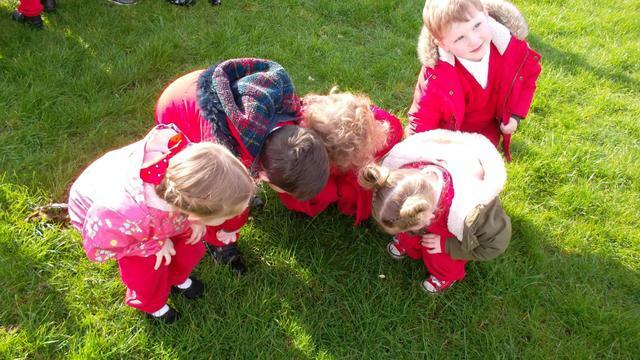 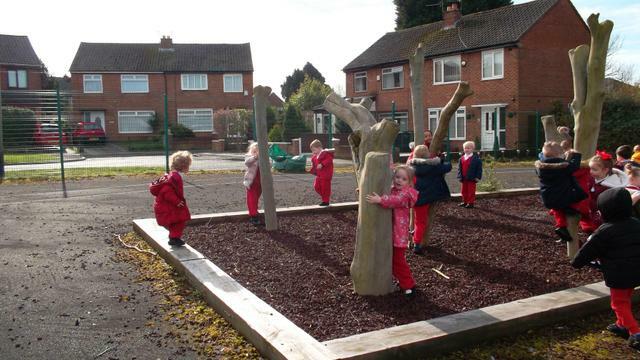 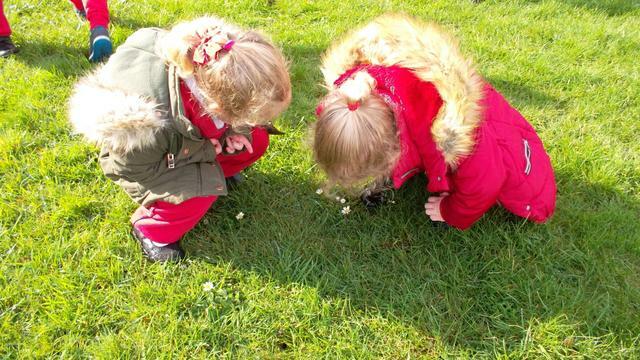 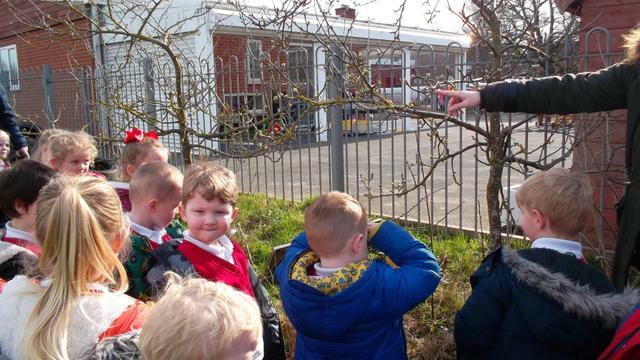 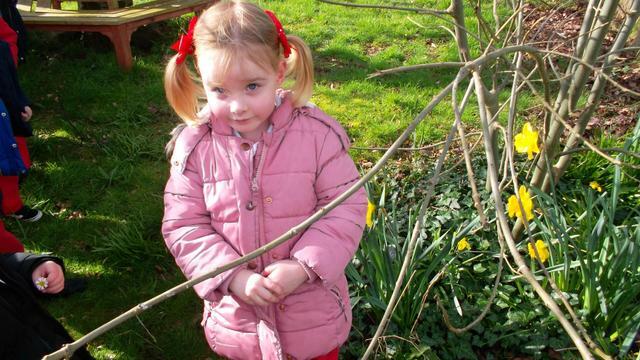 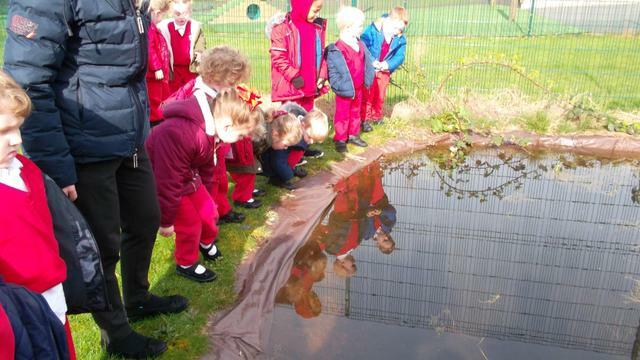 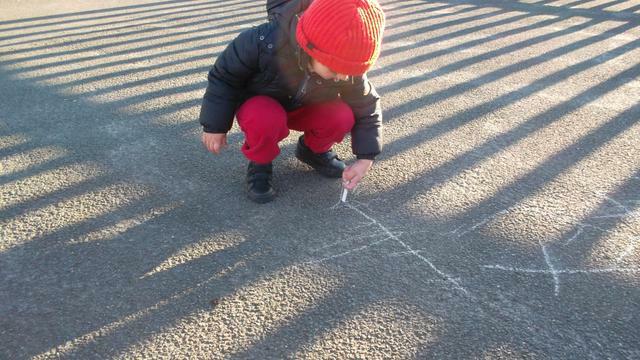 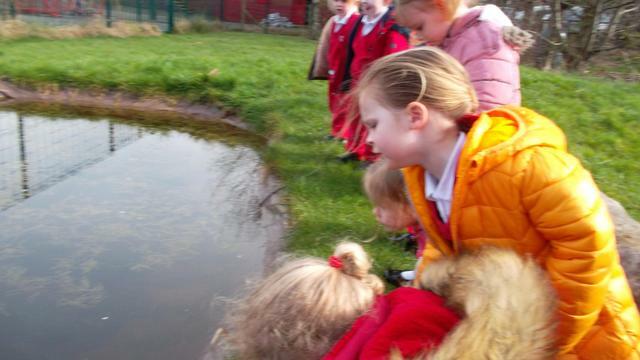 We had a lovely morning exploring our school 'Nature and Nuture Nook' looking for signs of spring. 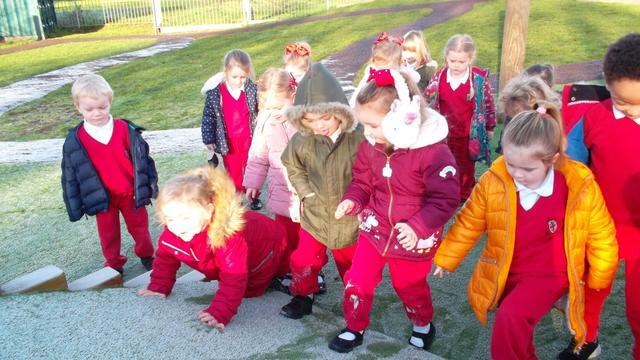 We had talked about spring together on the carpet and the children came up with ideas of what we might see. 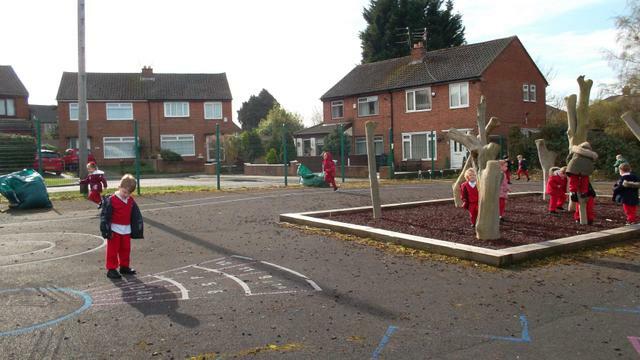 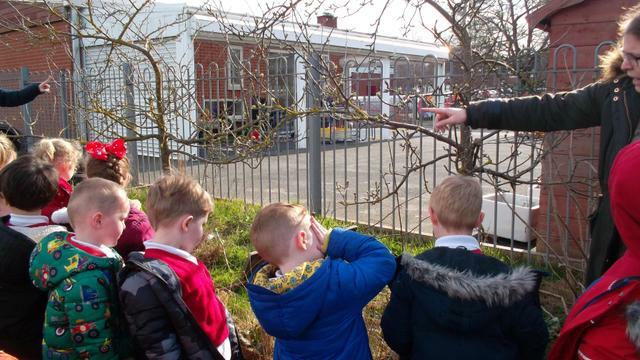 The children suggested that we might see flowers, birds, leaves and squirrels so we kept our eyes peeled while we walked around. 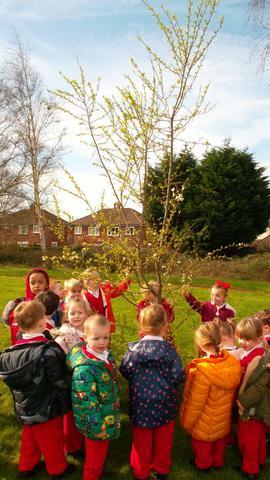 We saw lots of buds on the trees and saw some lovely flowers, but we didn't see any squirrels! 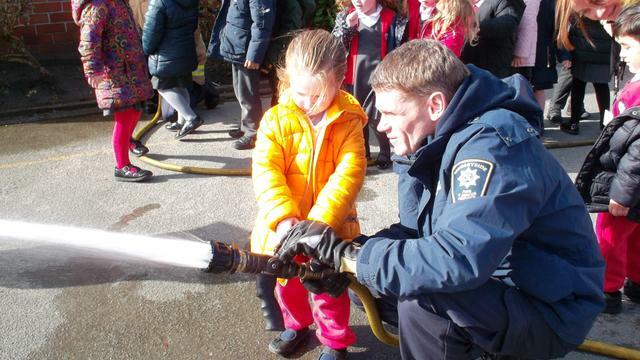 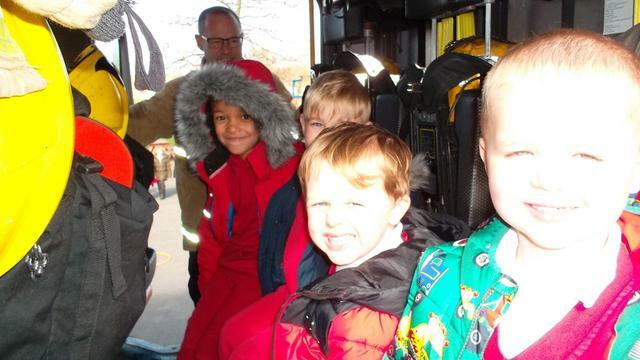 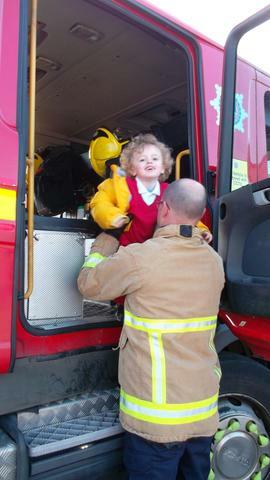 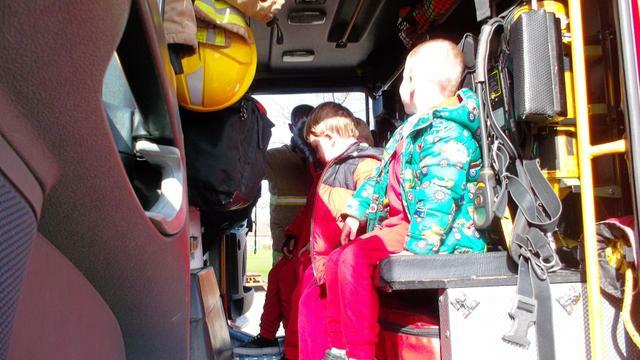 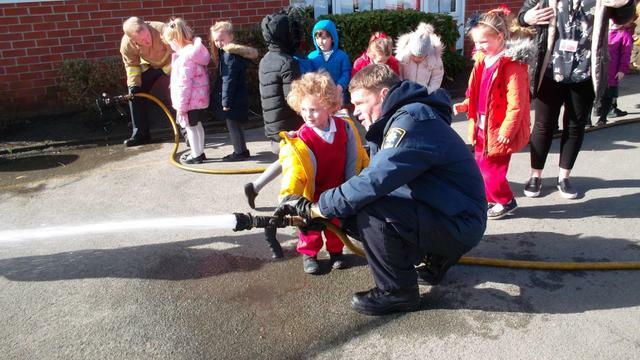 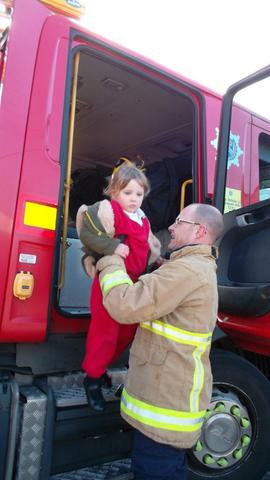 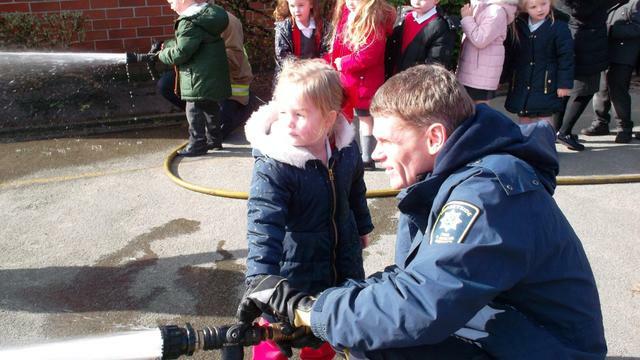 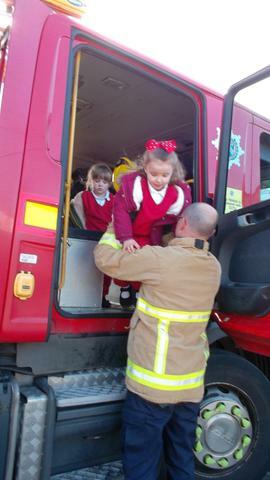 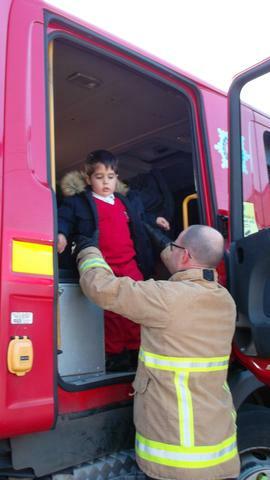 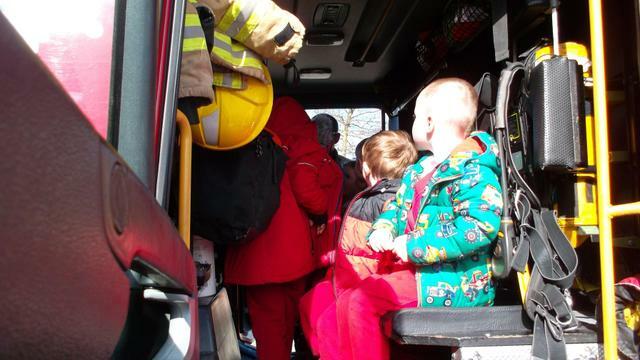 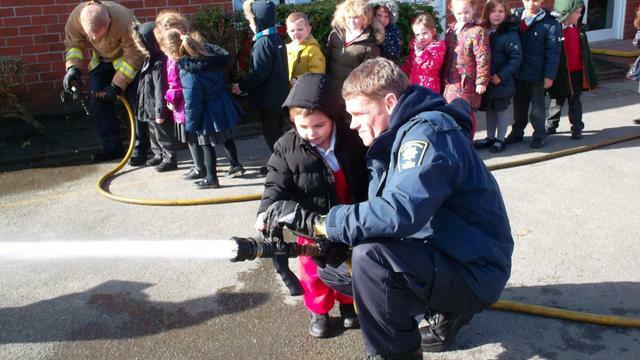 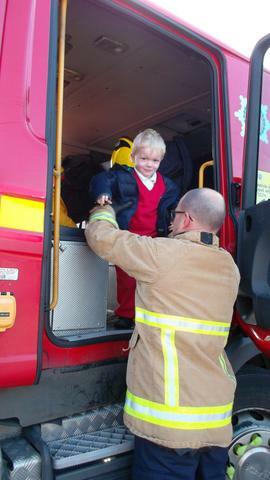 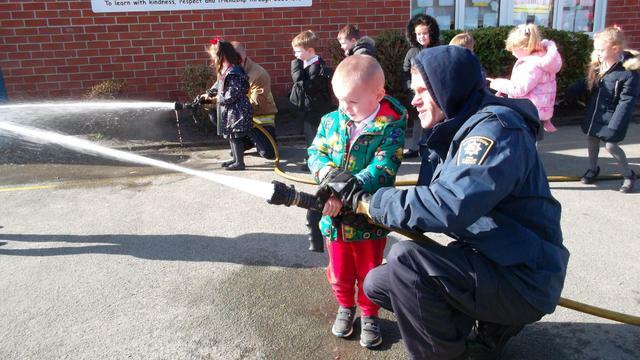 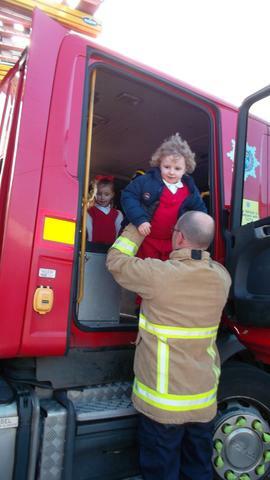 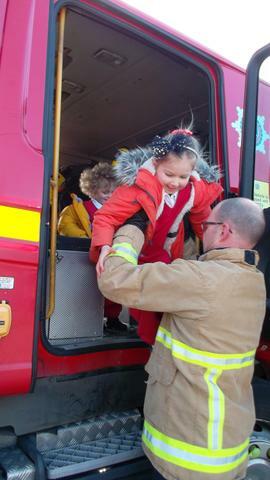 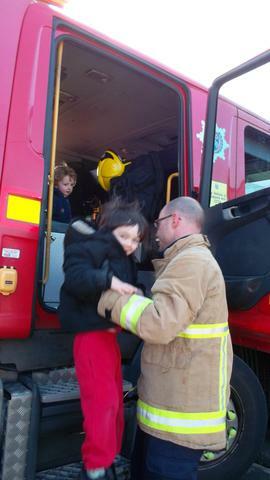 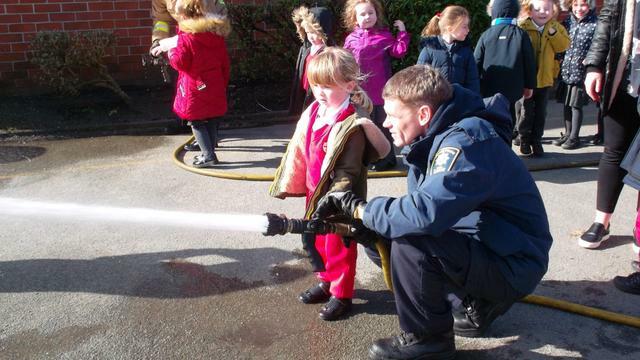 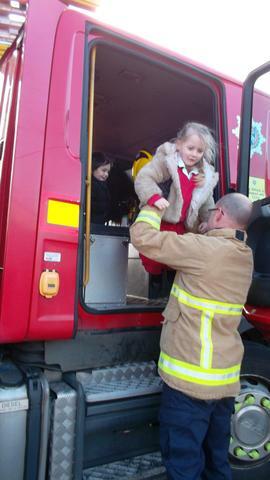 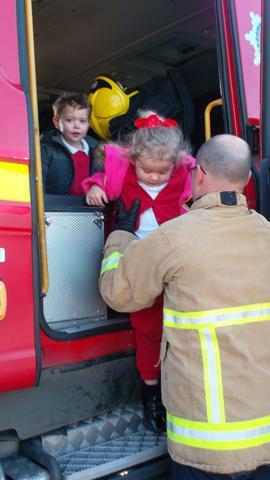 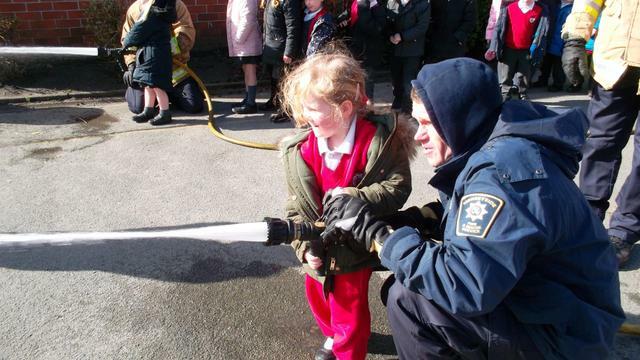 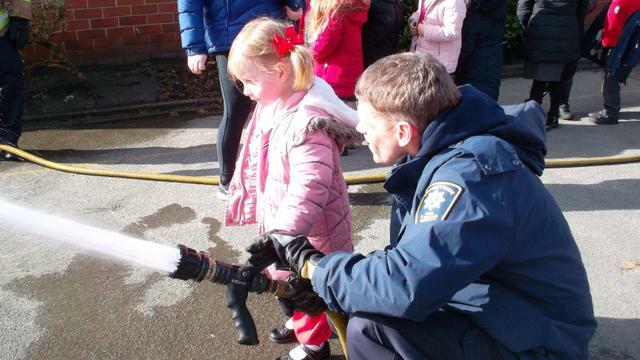 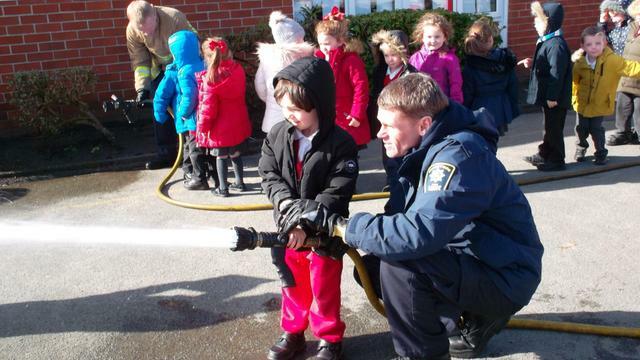 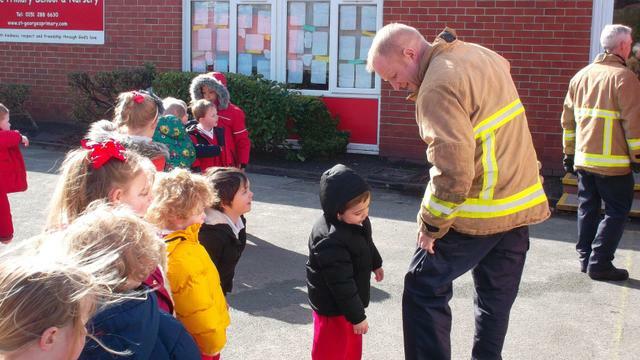 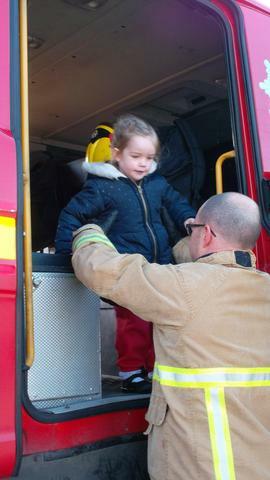 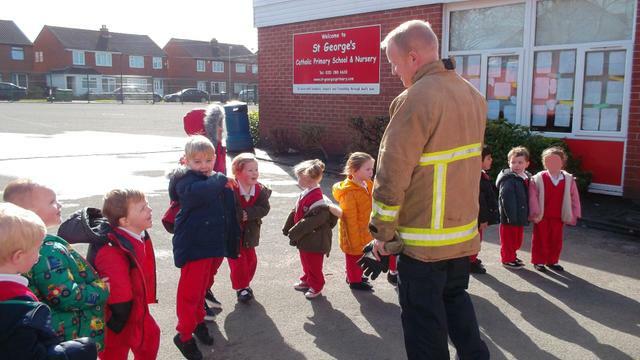 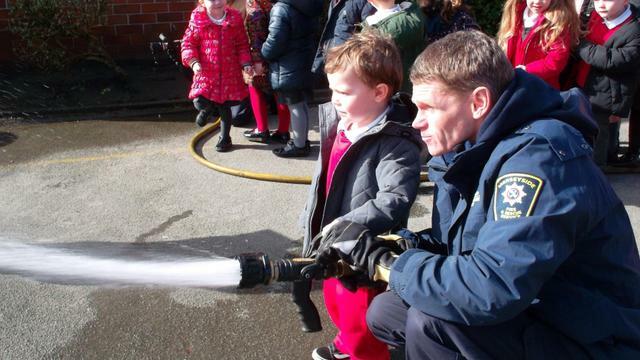 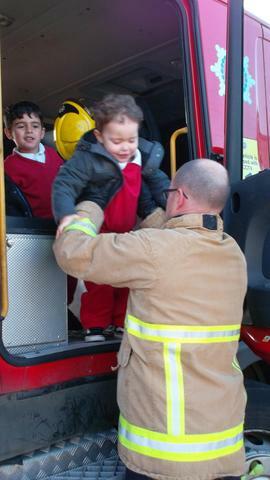 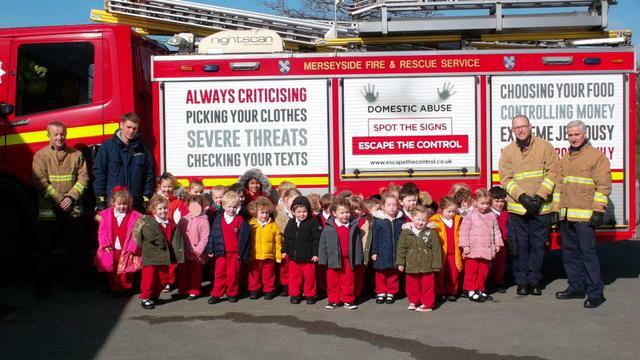 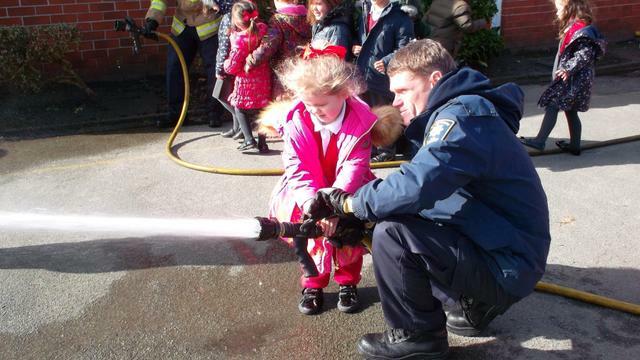 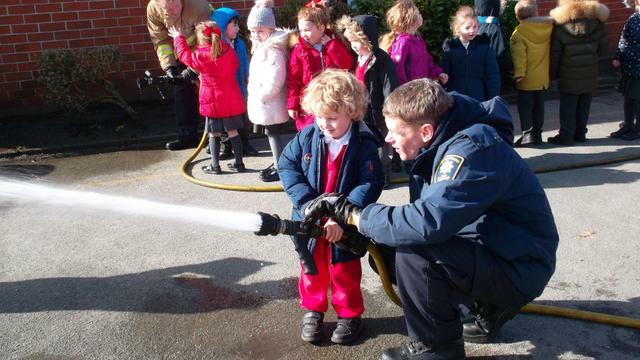 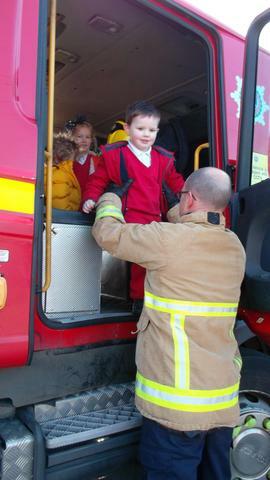 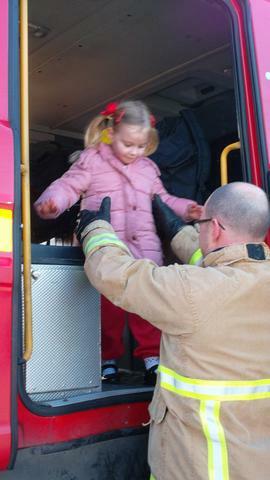 We had a lovely visit from fire-fighters from Bootle fire station this morning (11/03/19). 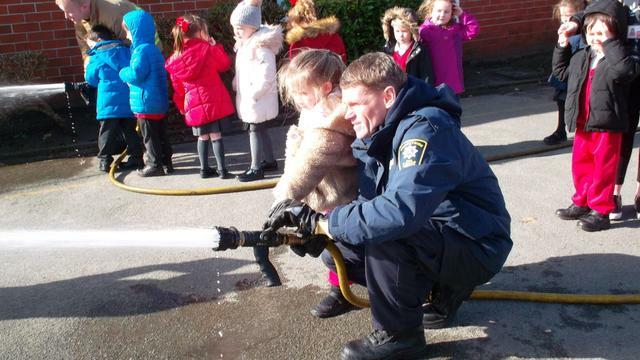 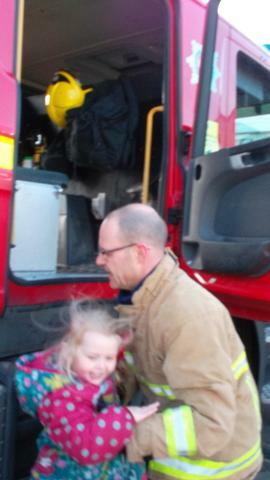 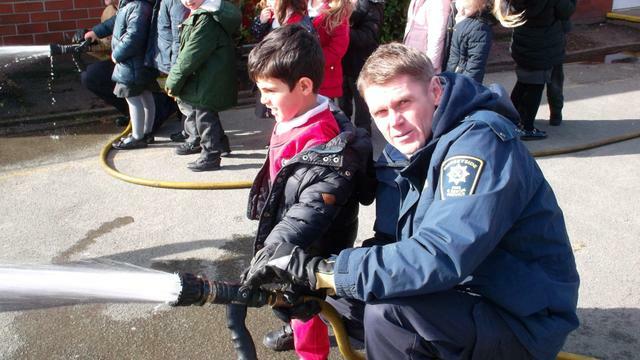 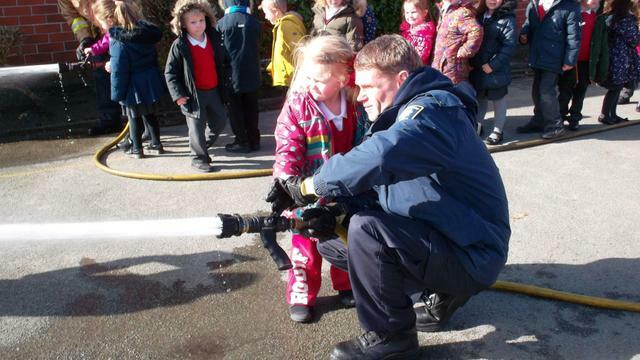 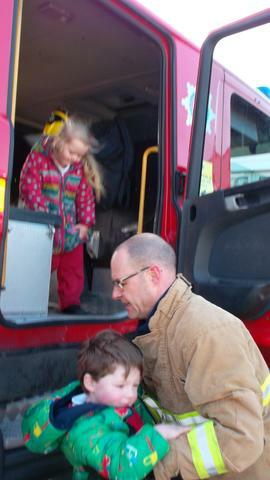 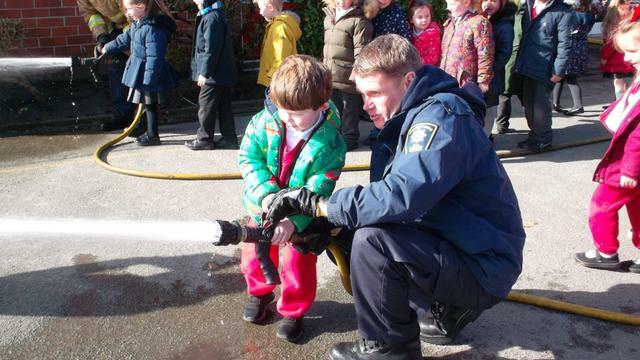 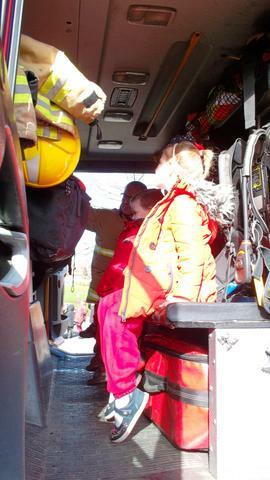 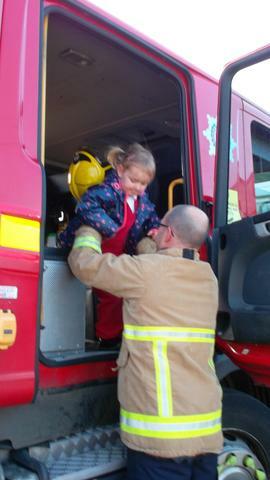 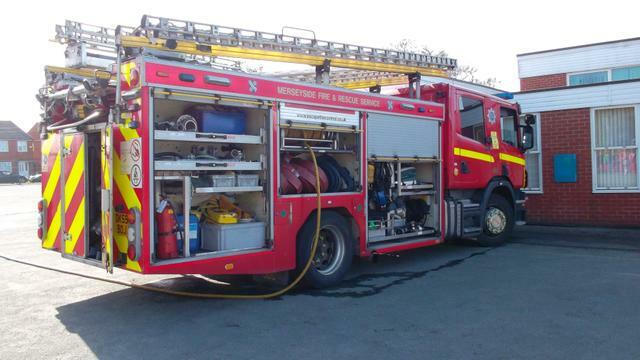 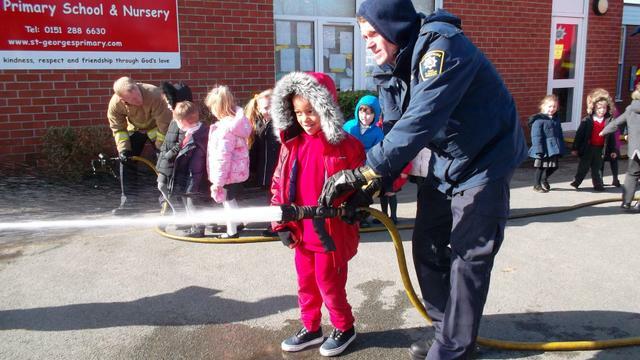 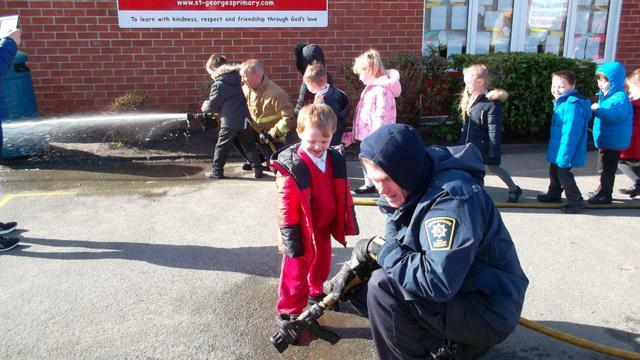 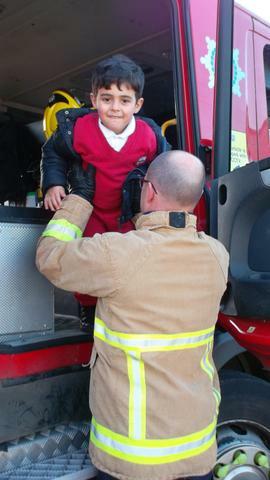 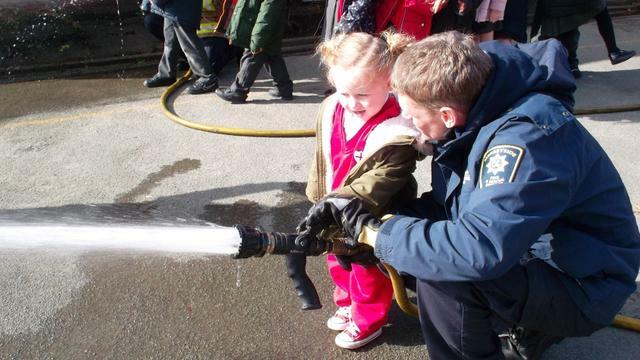 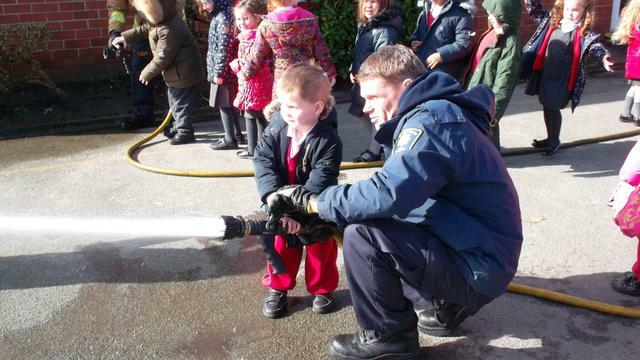 They let us all squirt water from the hose before lifting us up so we could sit inside the fire engine! 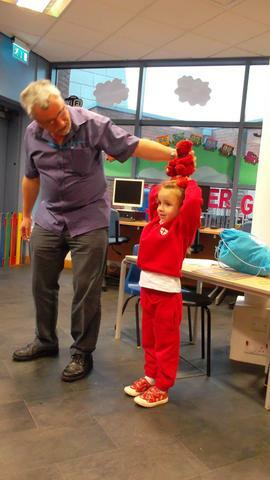 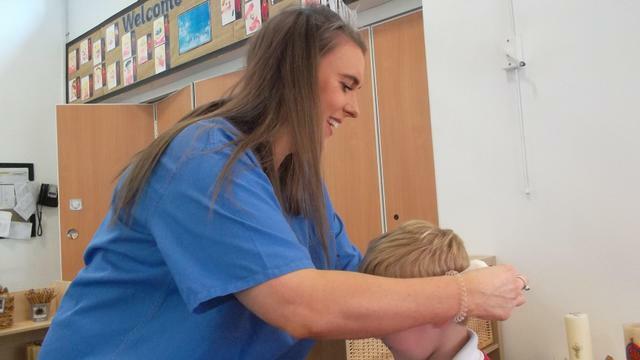 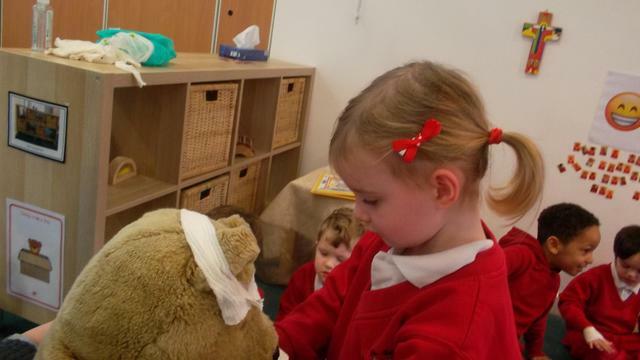 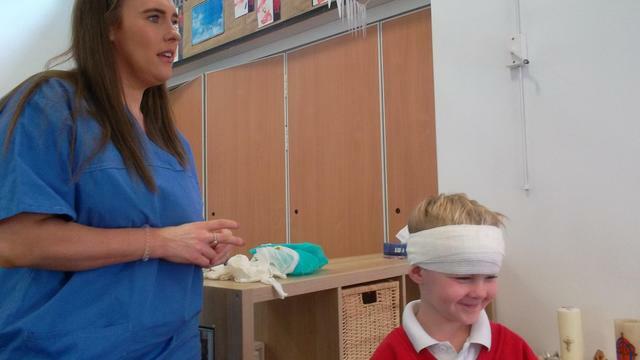 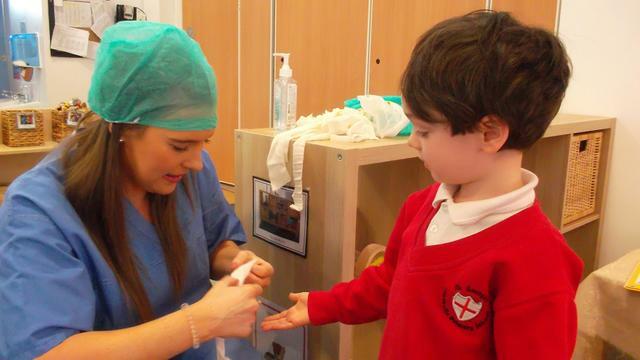 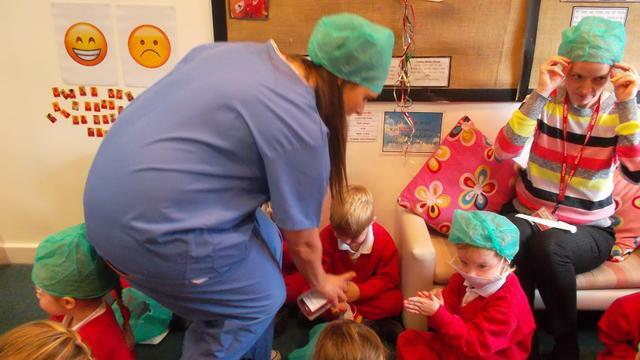 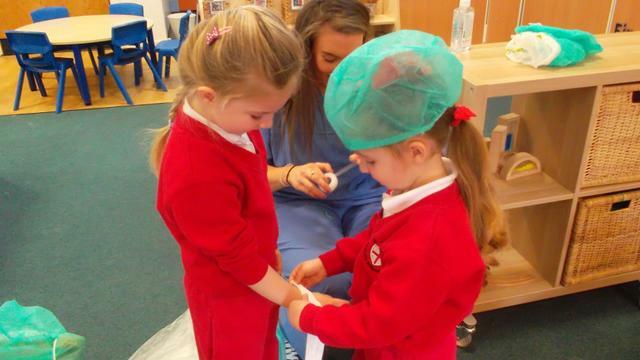 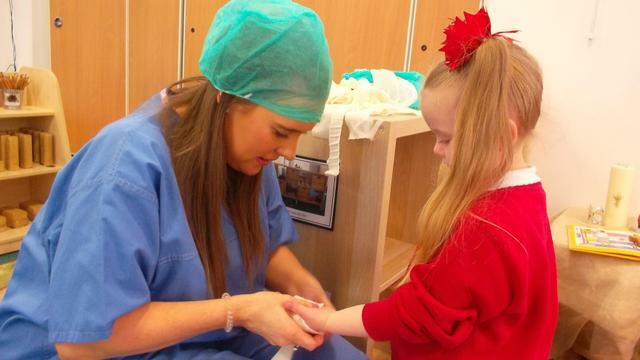 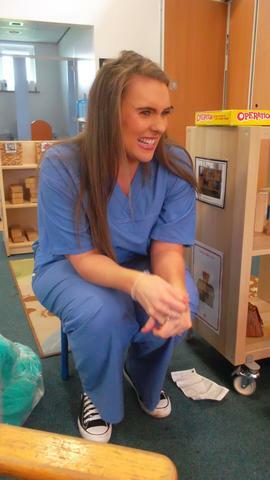 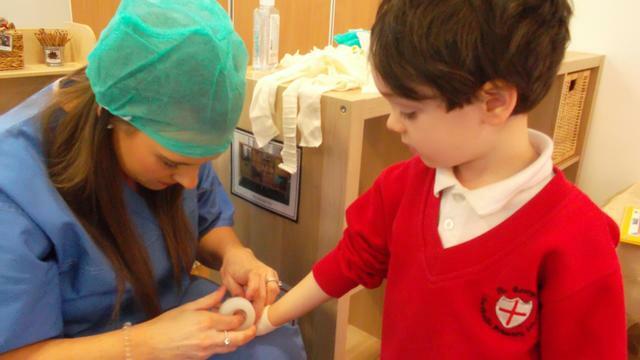 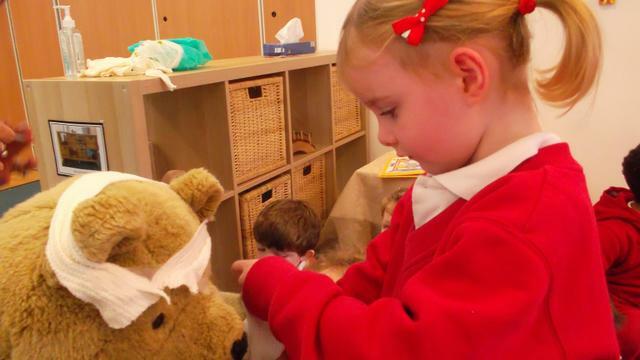 It was lots of fun and a great introduction to our new 'People who help us' topic! 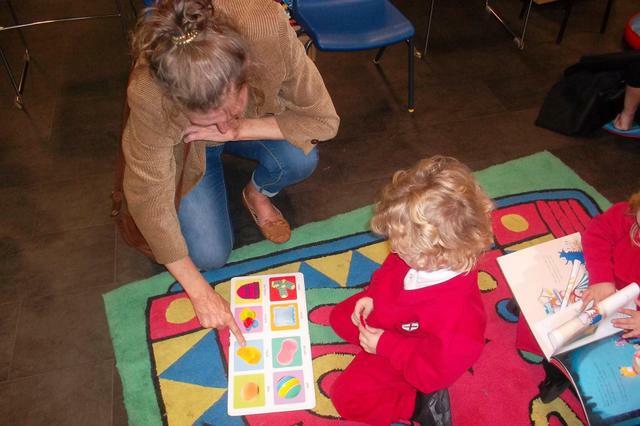 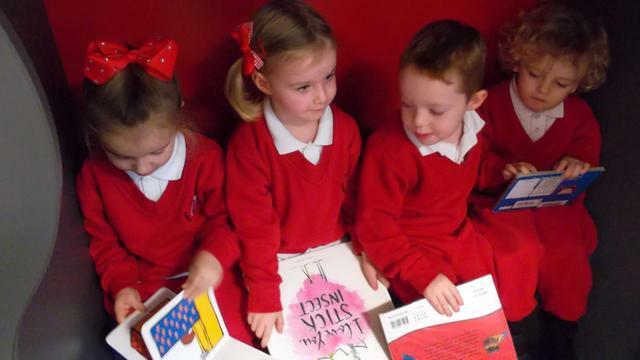 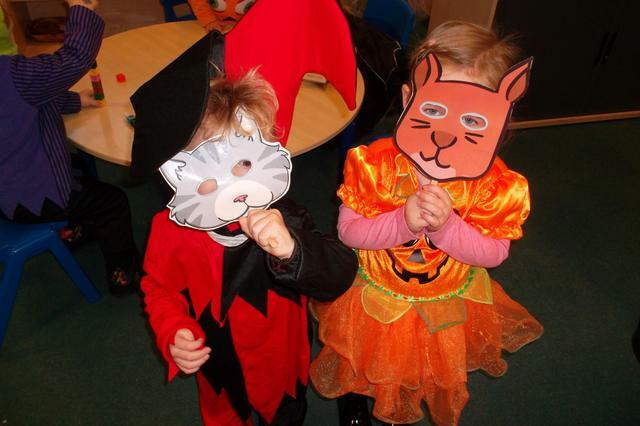 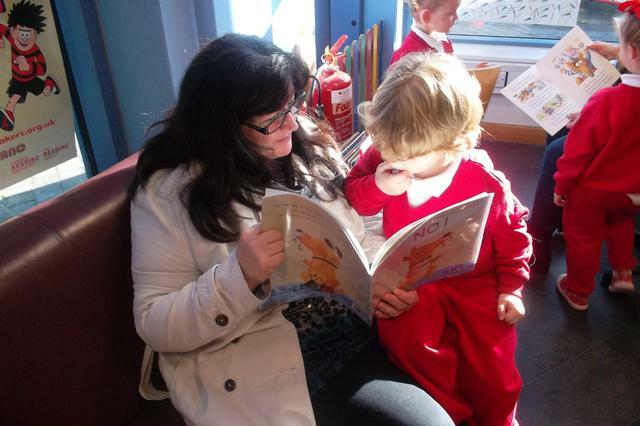 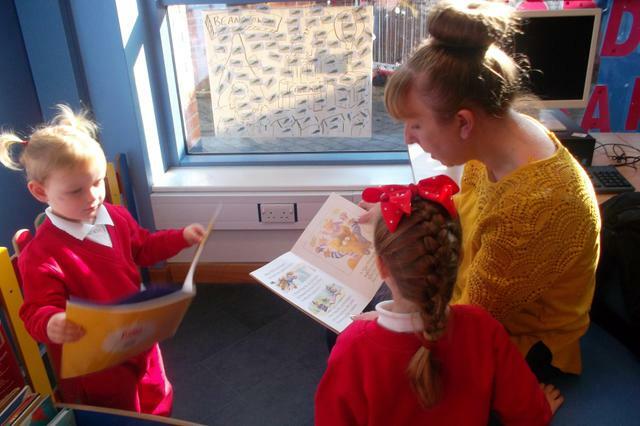 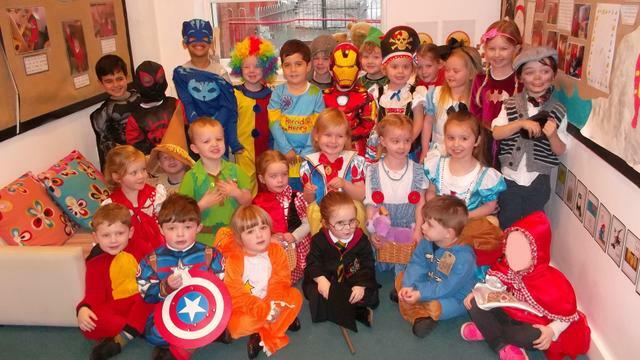 We've had a lovely morning celebrating World Book Day today - Thursday 7th March. 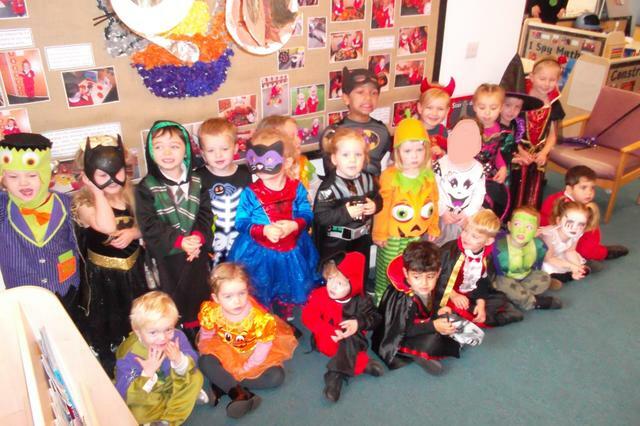 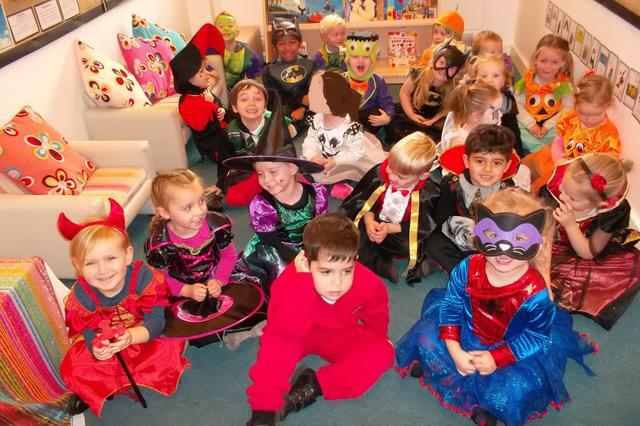 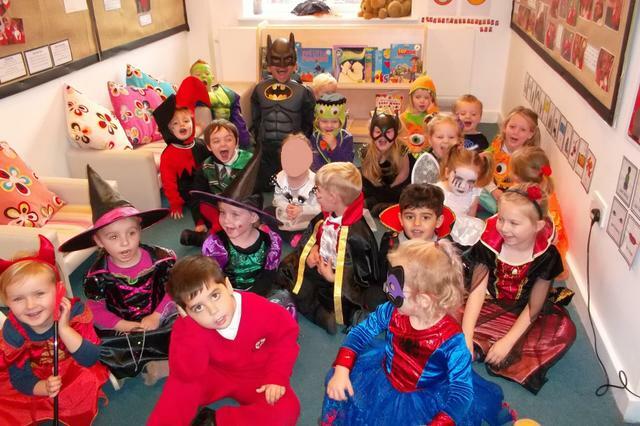 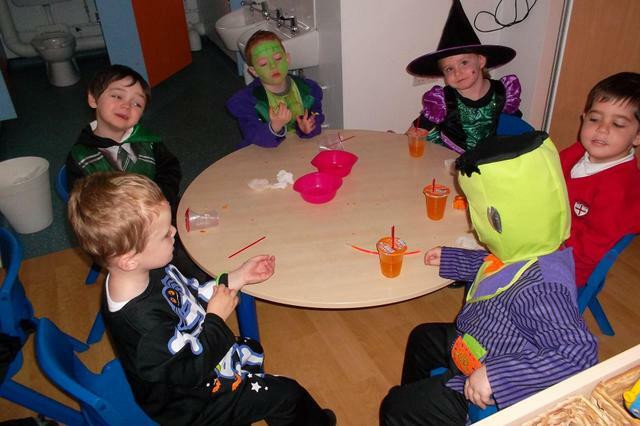 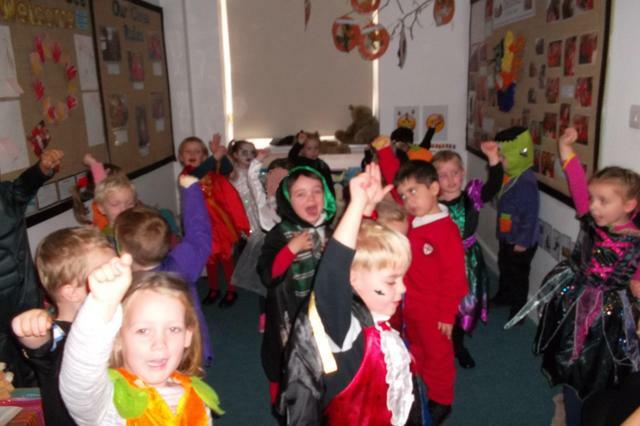 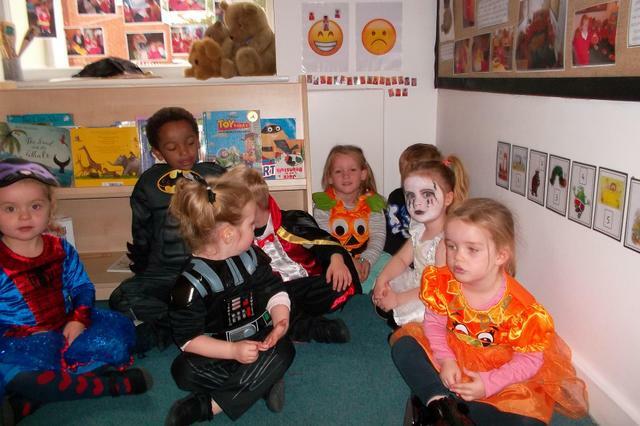 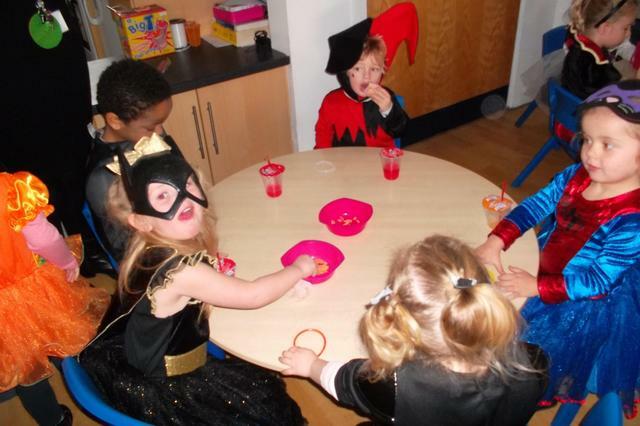 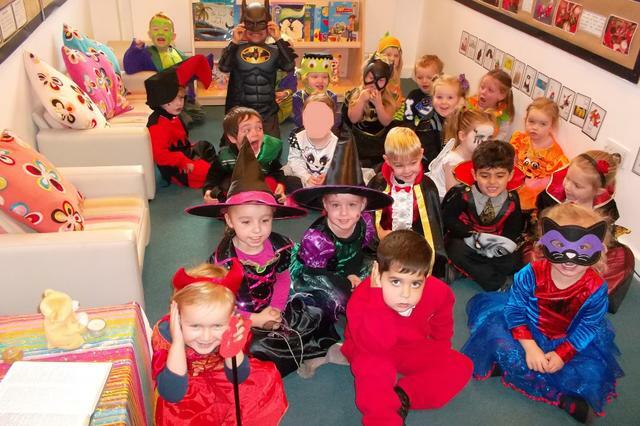 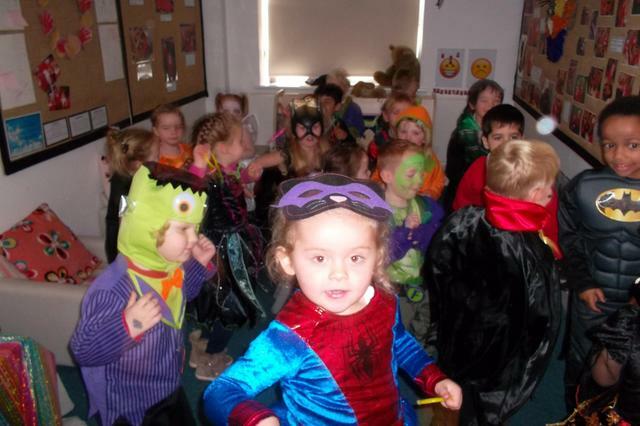 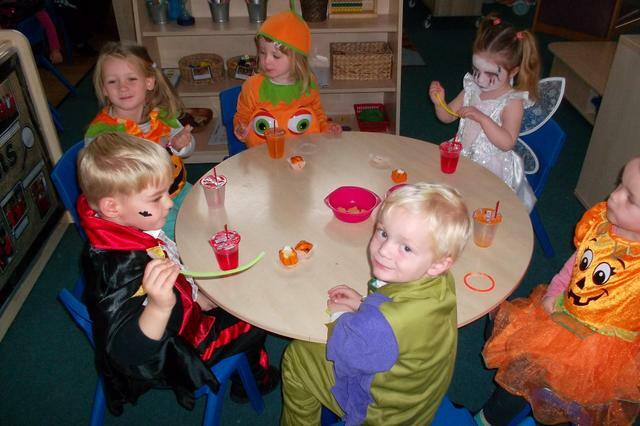 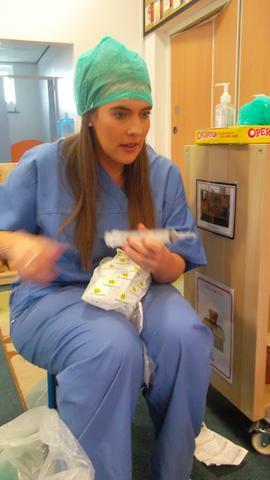 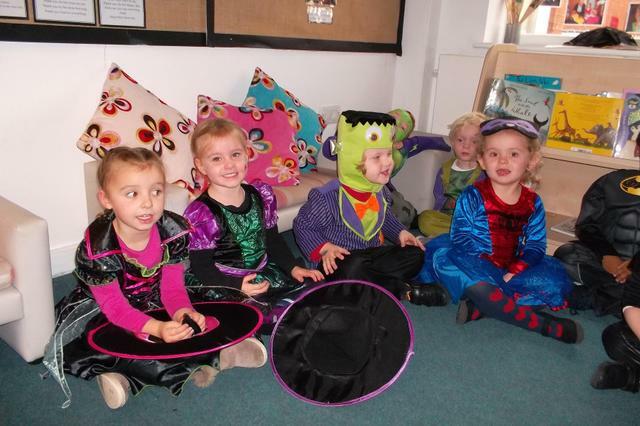 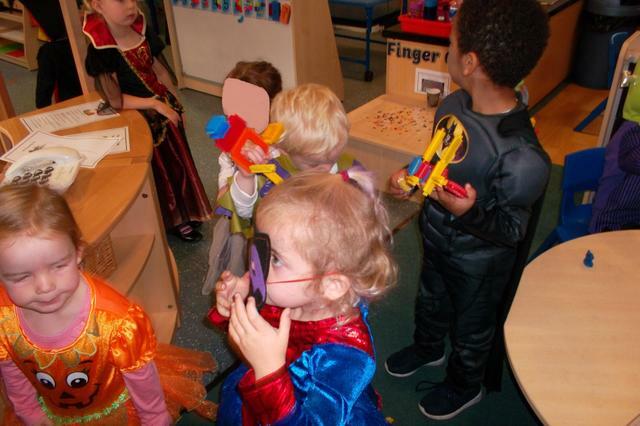 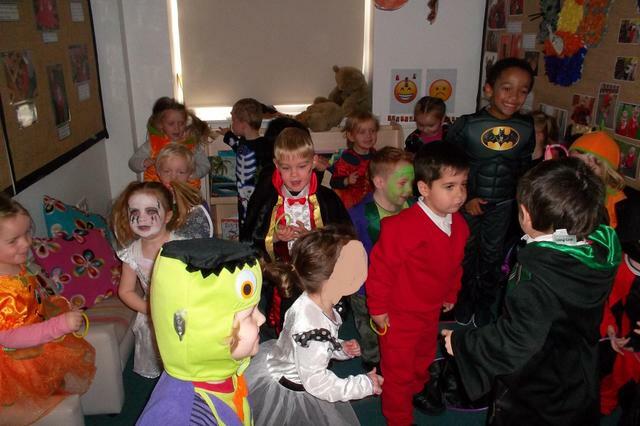 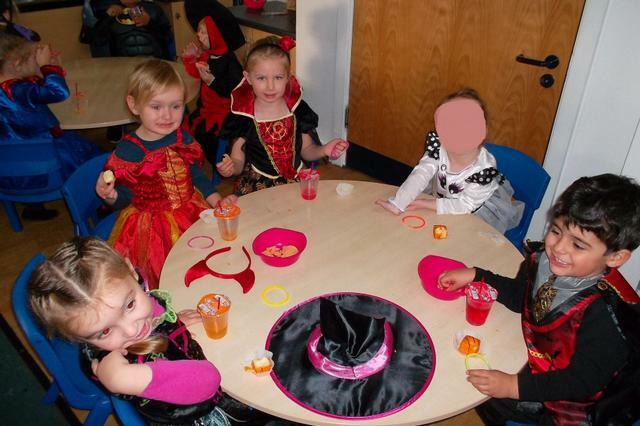 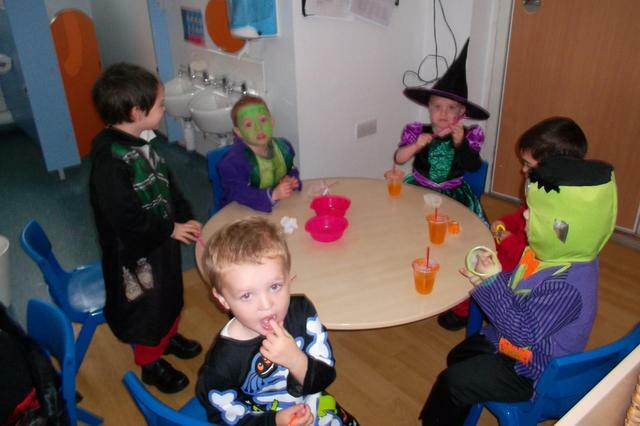 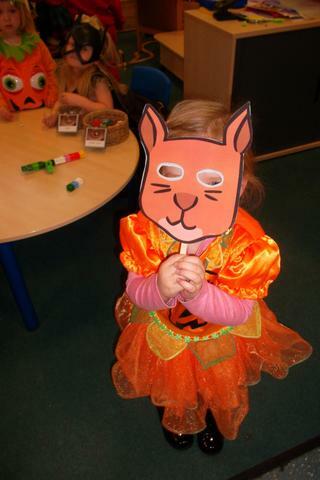 At carpet time we all stood up in turn and showed our friends what we came dressed up as. 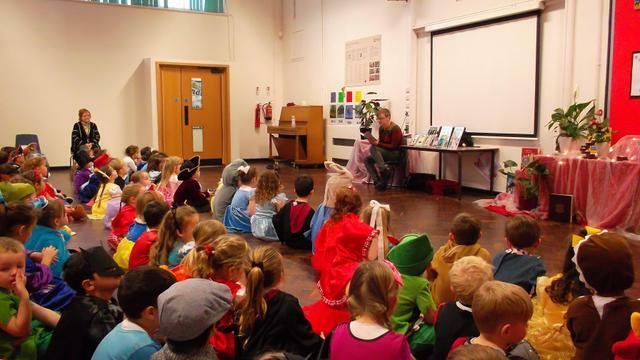 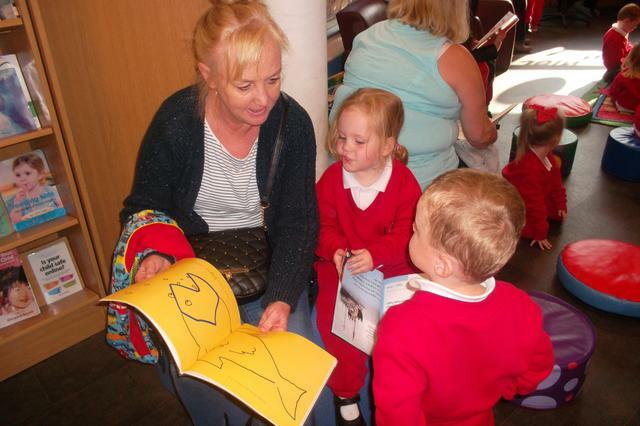 We went into the hall with the Reception, Year 1 and Year 2 children to listen to an author read us part of a story he had written. 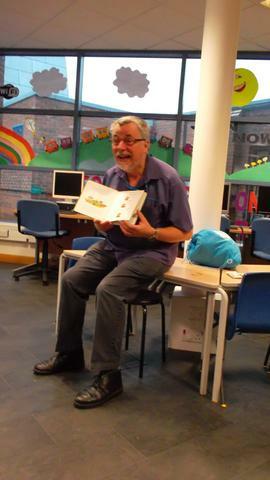 The author was called Daniel Riding and he read us some of his book about a naughty cat and some of his book about a magical unicorn! 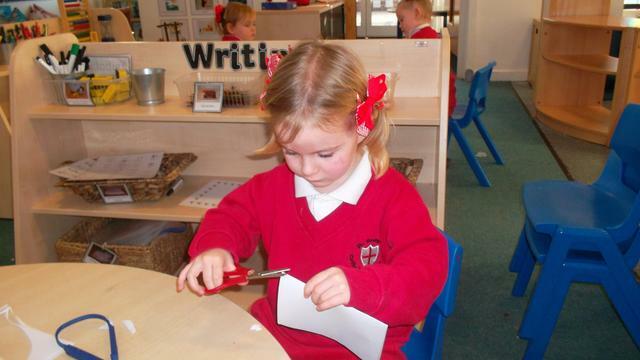 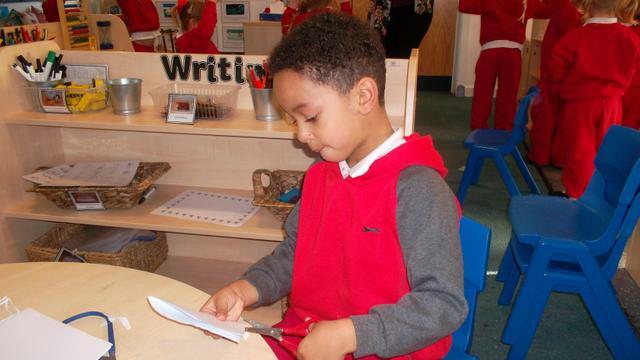 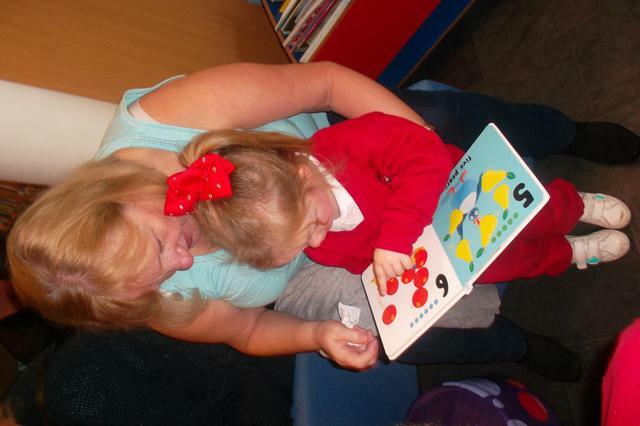 Back in class we then coloured a book mark which Mrs Davies then laminated for us to make it special. 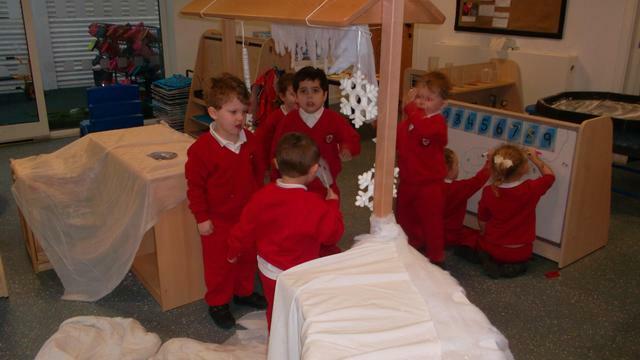 We’ve had a lovely few weeks exploring our winter topic, looking at the books ‘Say Hello to the snowy animals’ and ‘Jack Frost’. 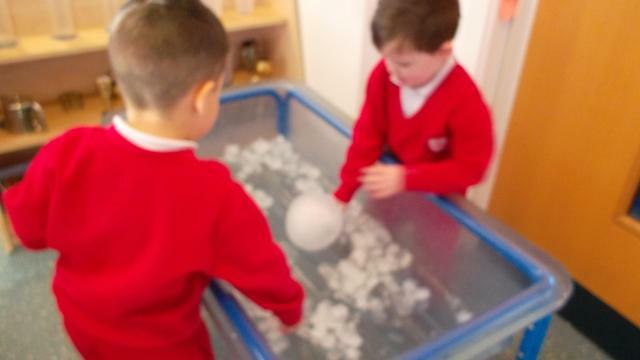 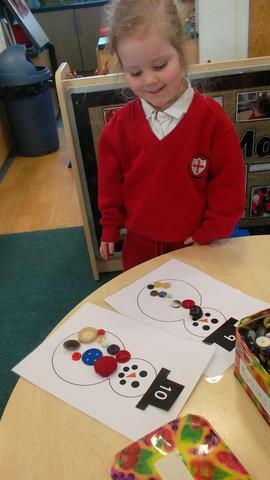 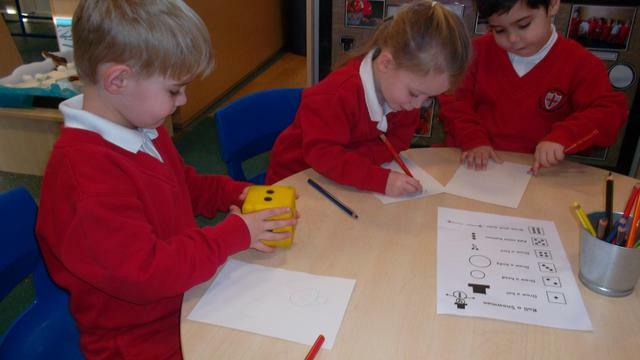 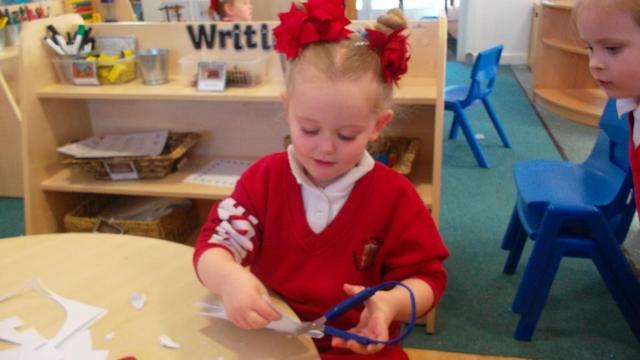 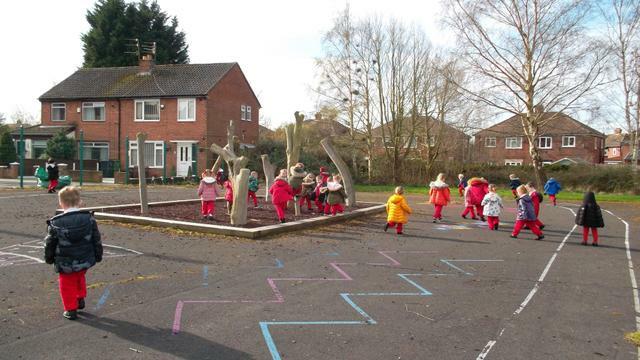 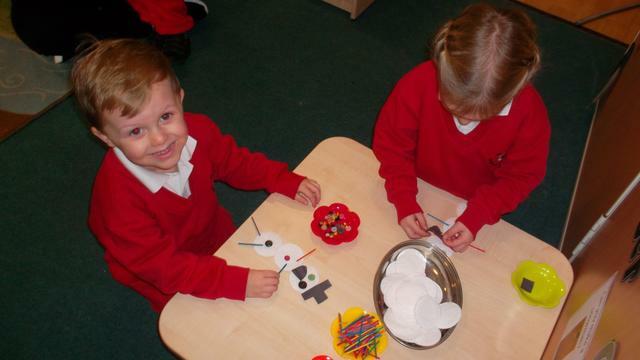 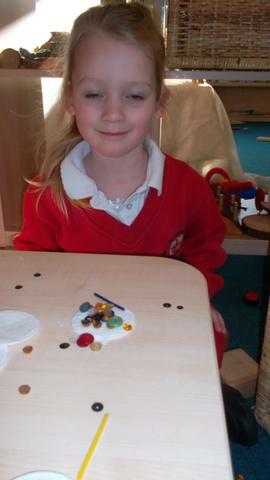 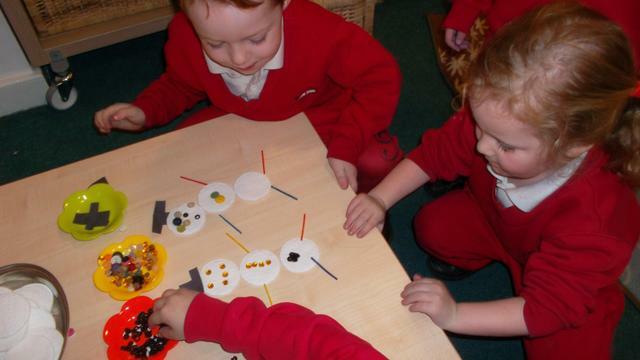 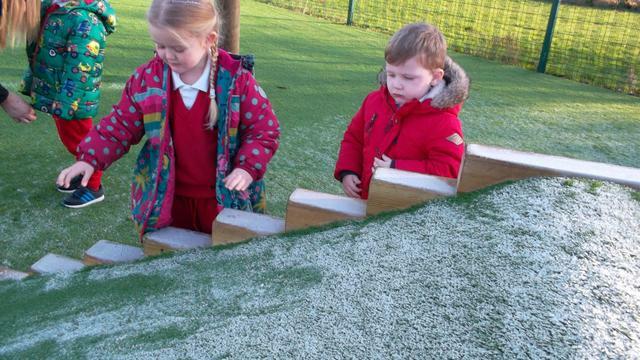 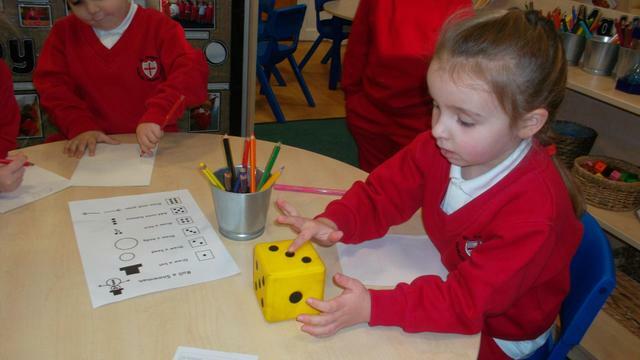 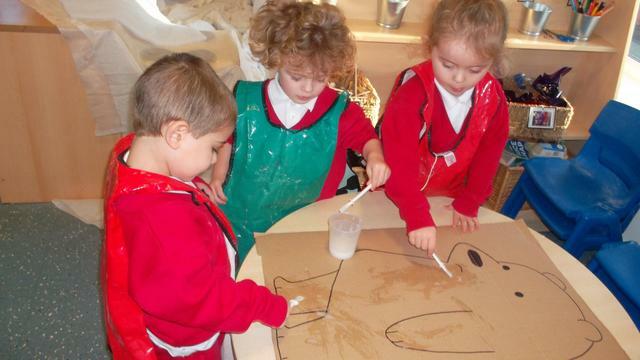 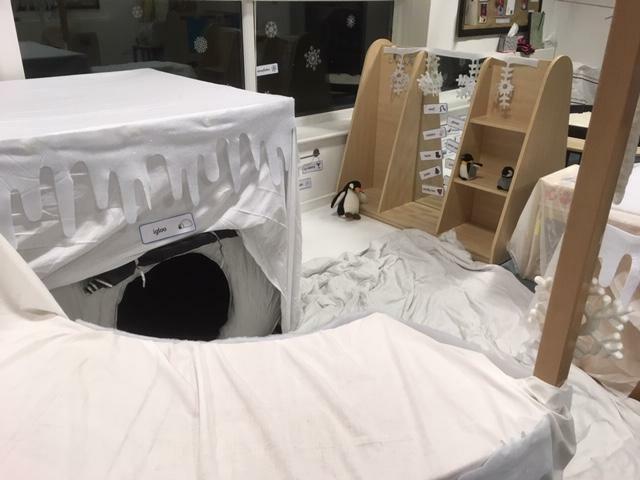 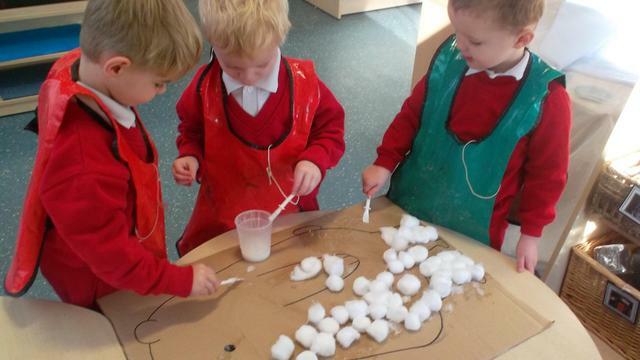 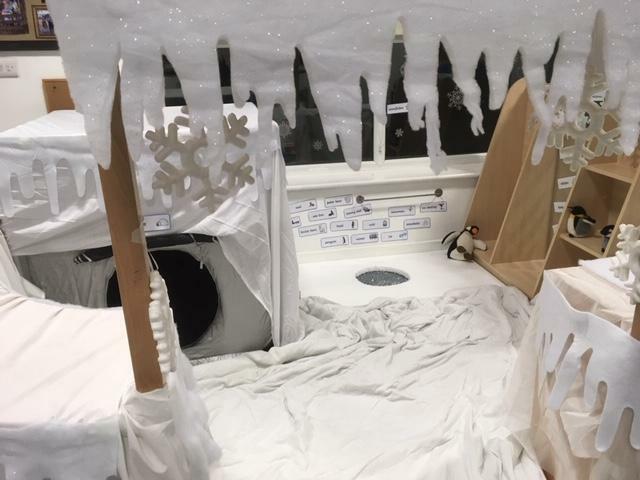 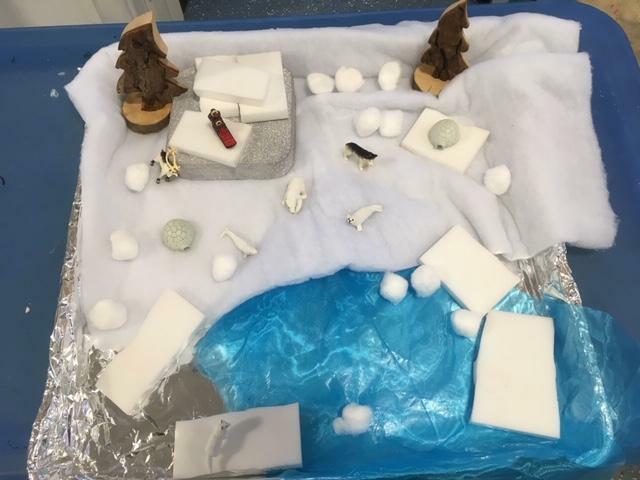 The children have enjoyed playing in our role play igloo, painting wintery pictures, making snowflakes, exploring ice, both outside and in the water tray and counting buttons for snowmen as part of our maths work. 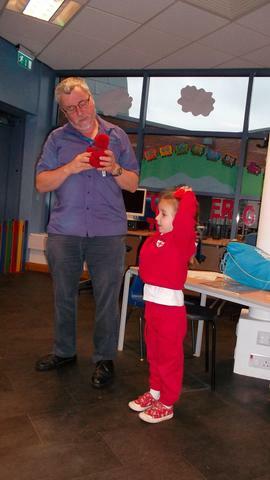 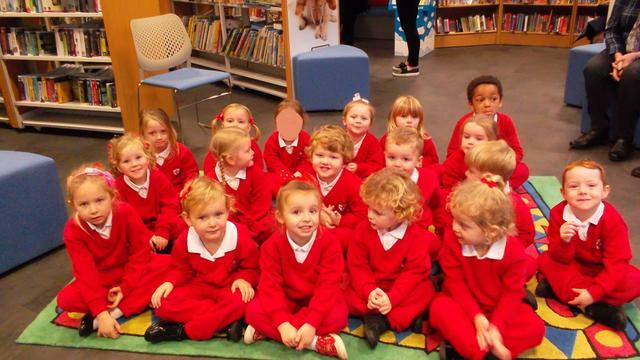 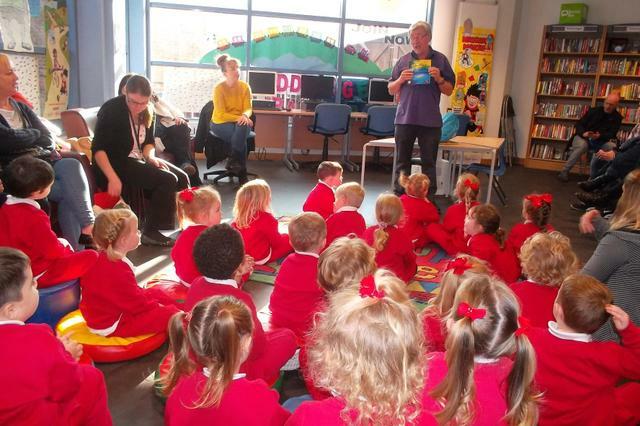 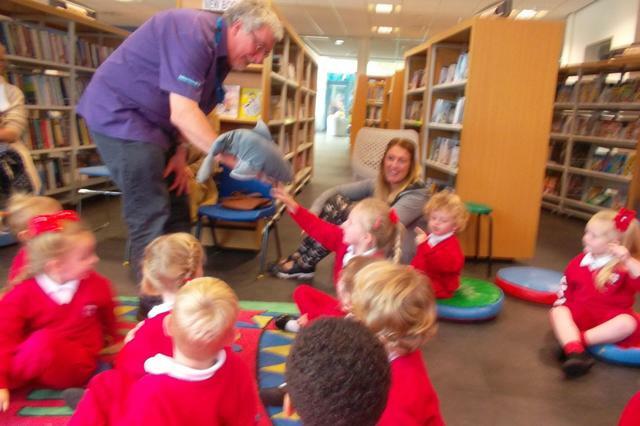 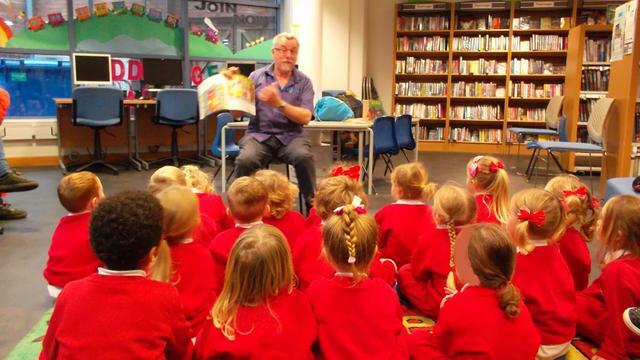 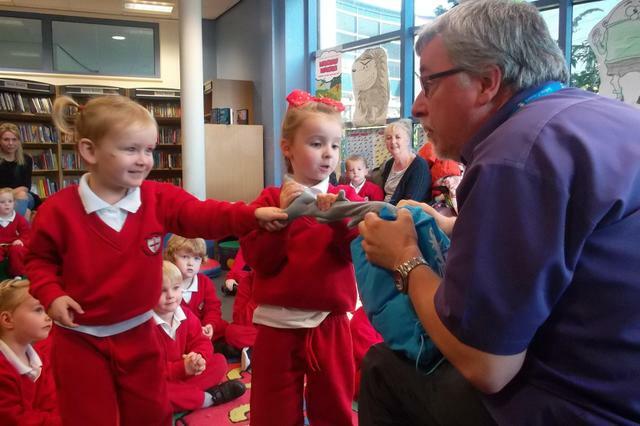 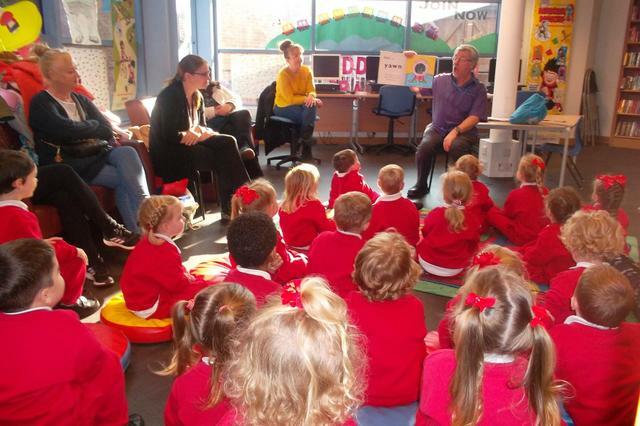 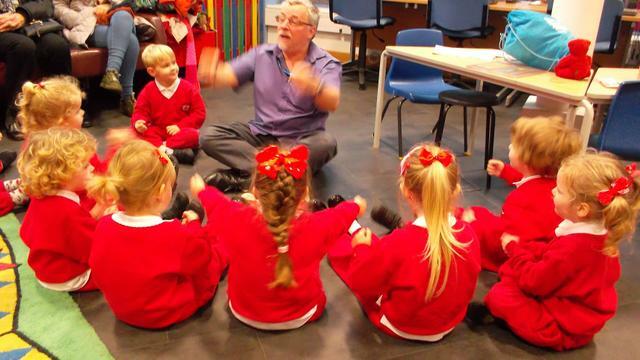 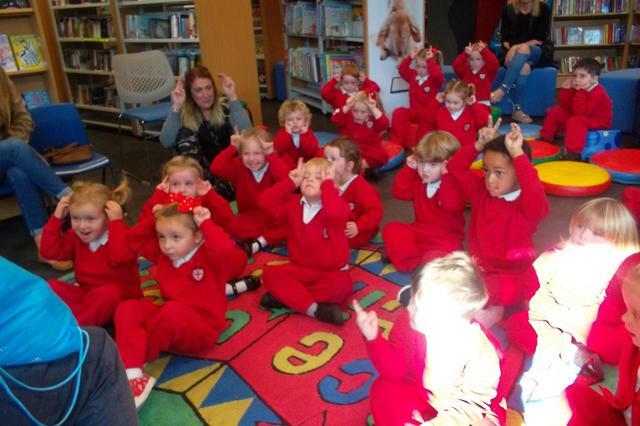 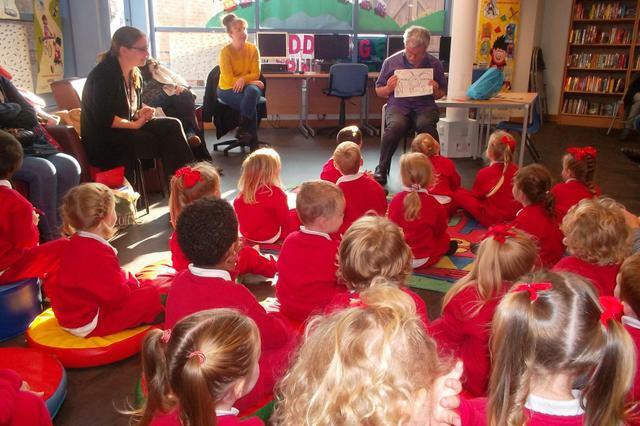 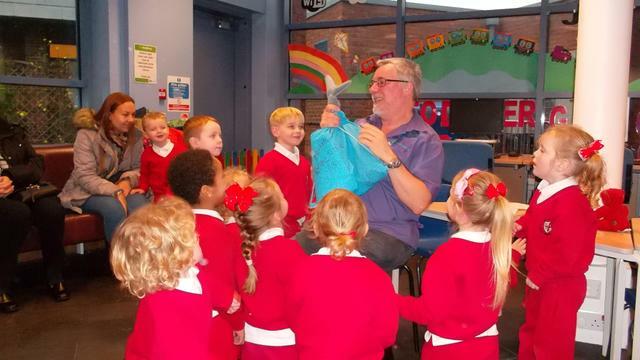 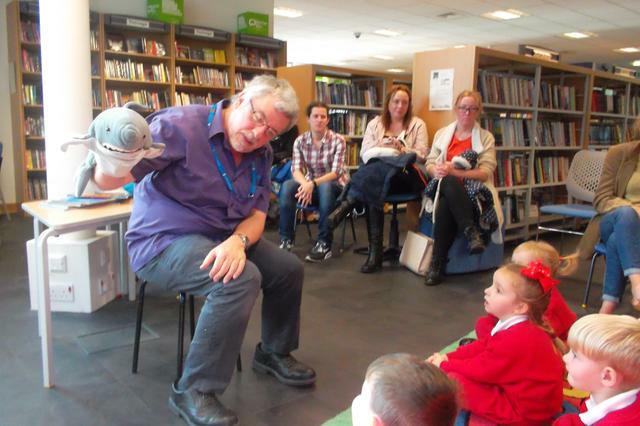 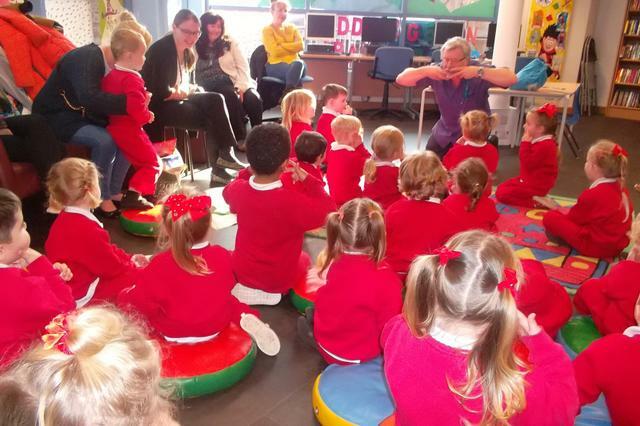 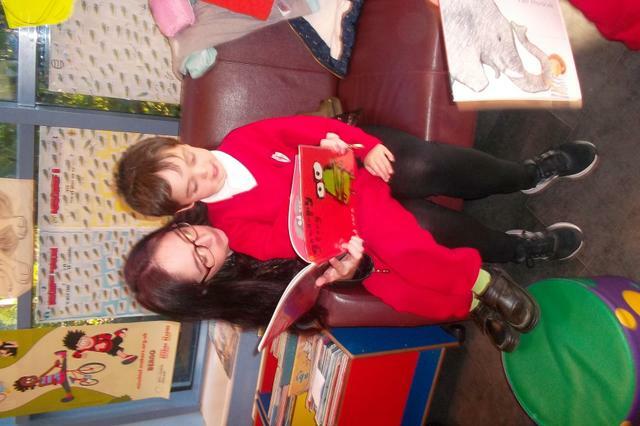 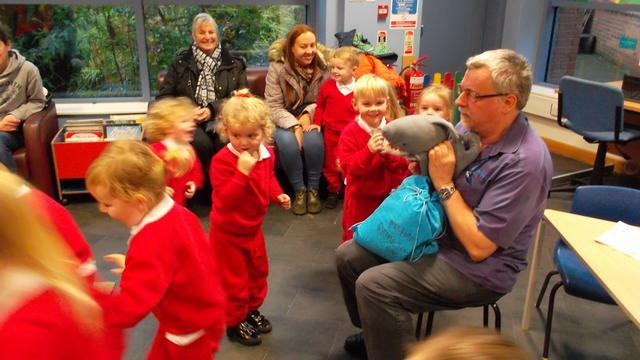 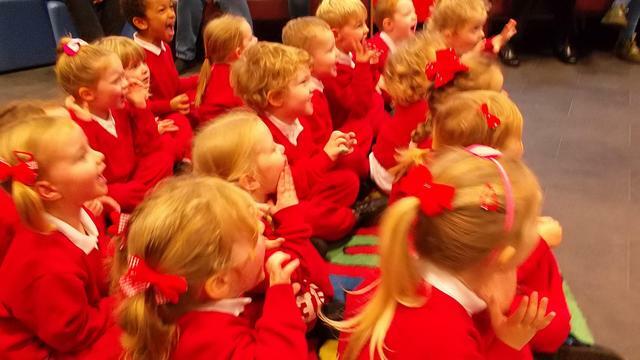 We all really enjoyed our trip to the library to listen to a story with Michael. 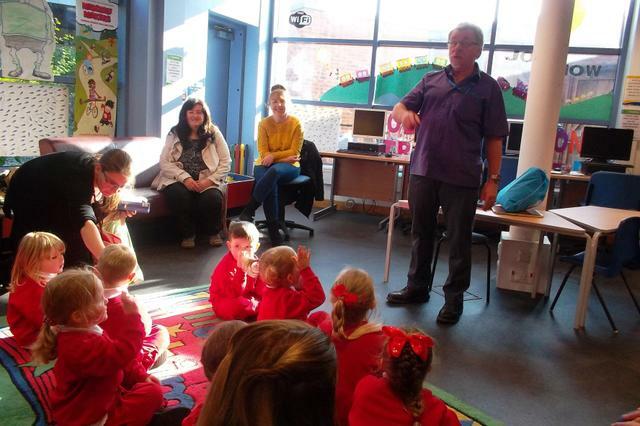 As we have been looking at the story of Goldilocks and the 3 Bears, Michael read us the story 'Beware of the Bears' by Alan McDonald. 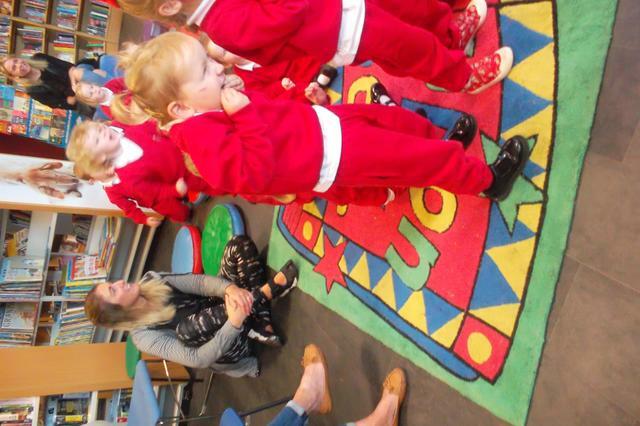 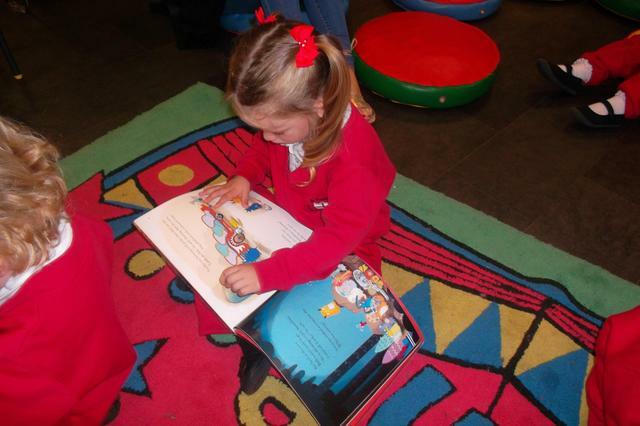 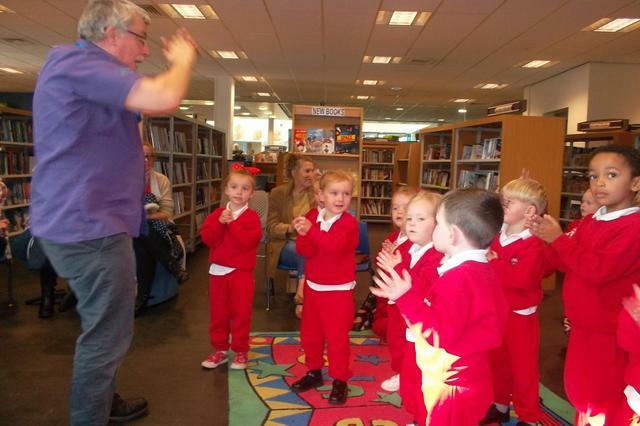 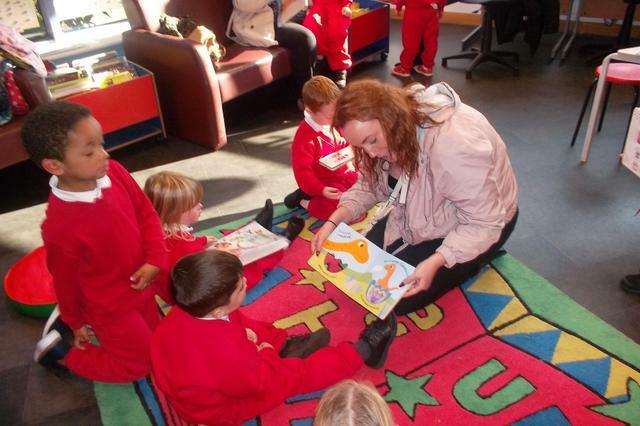 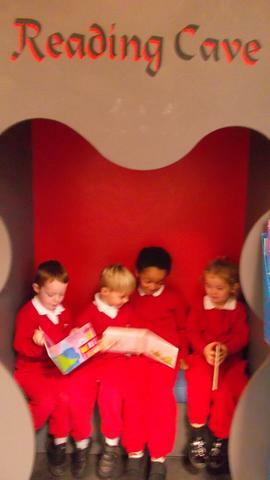 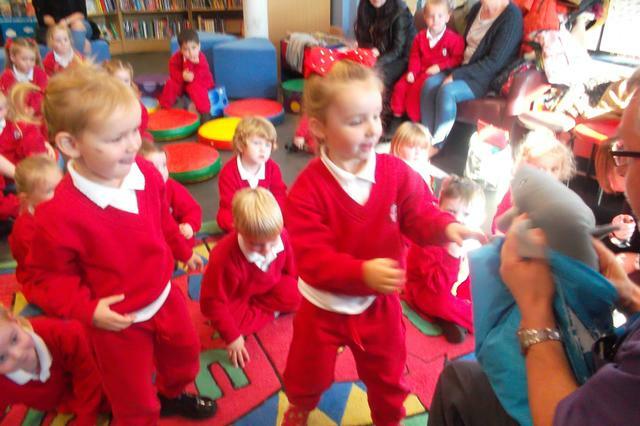 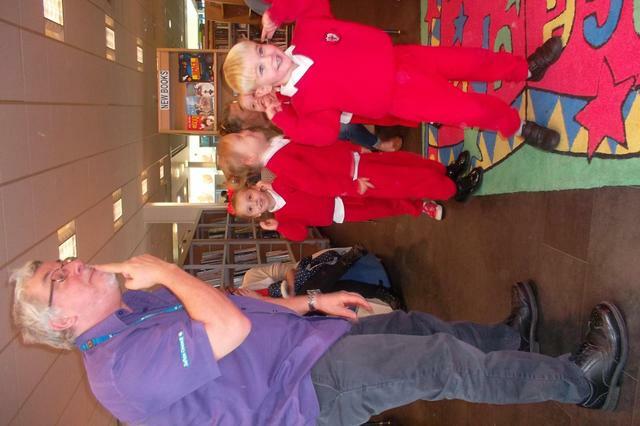 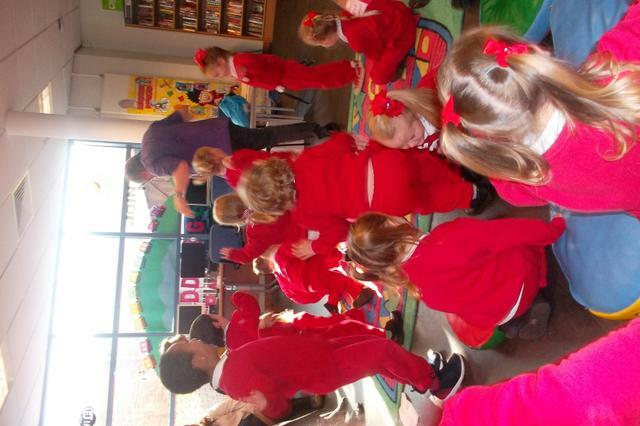 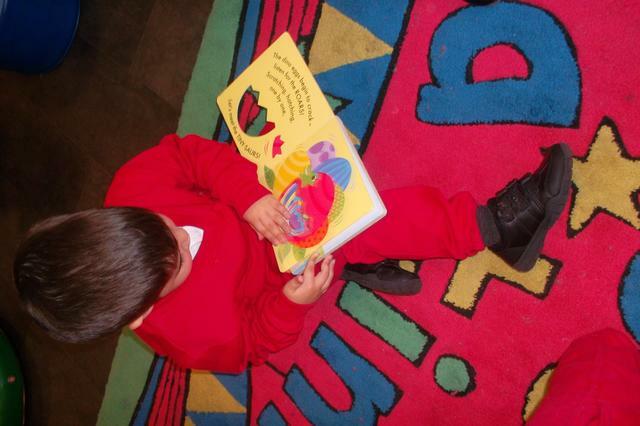 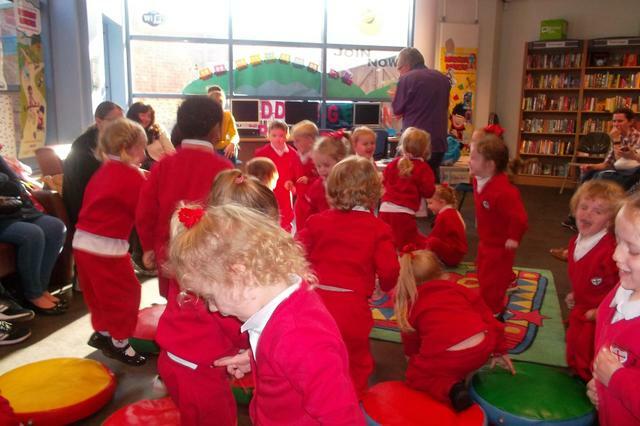 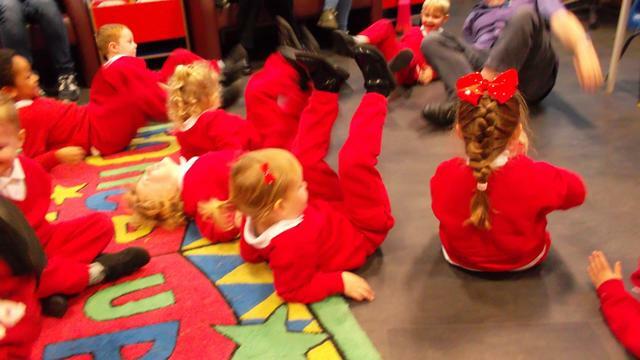 We then sang some songs and had lots of fun looking at all the books available in the library. 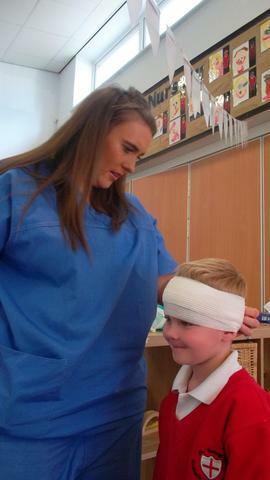 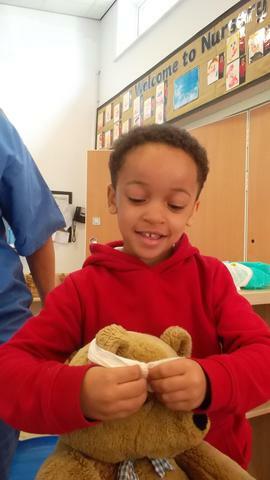 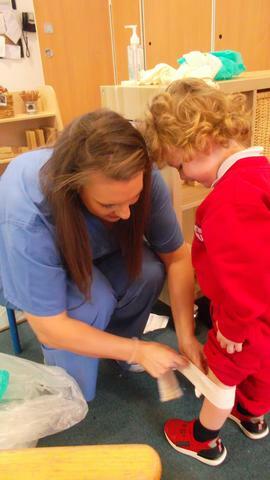 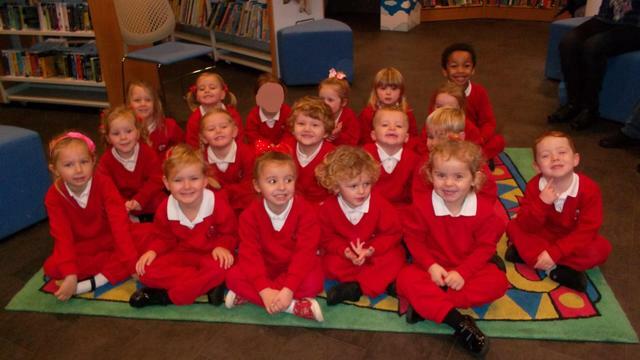 We have had a lovely start to the school year, meeting all our new friends. 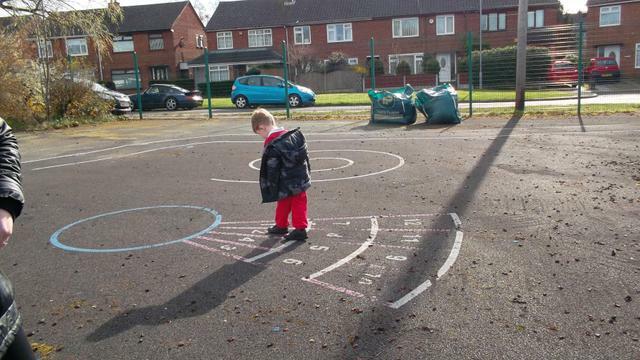 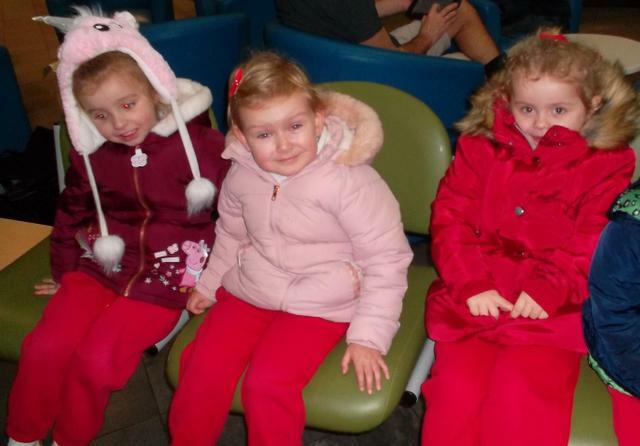 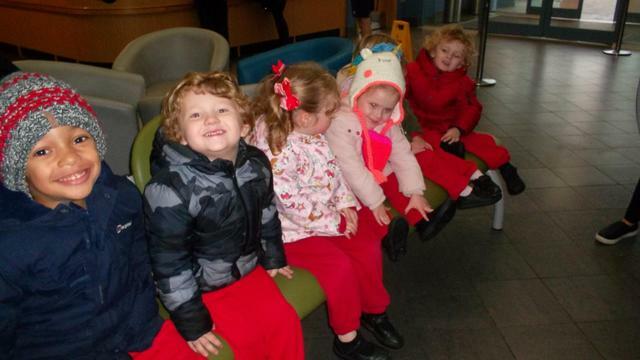 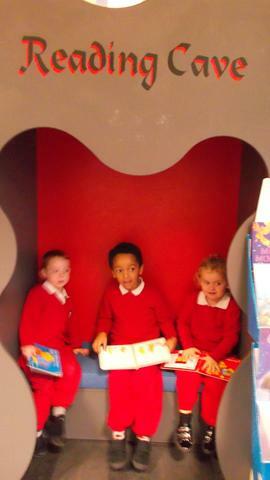 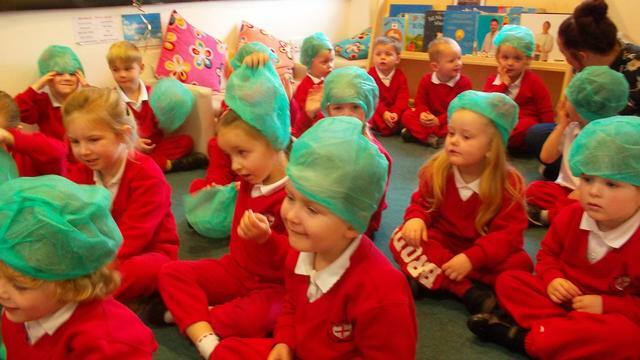 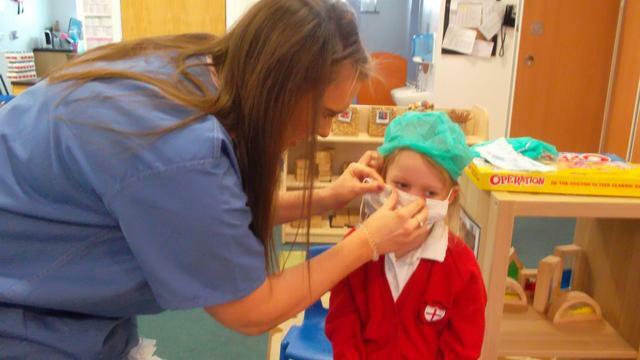 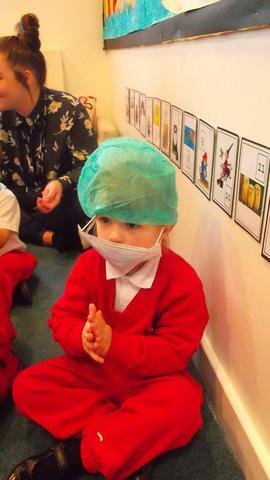 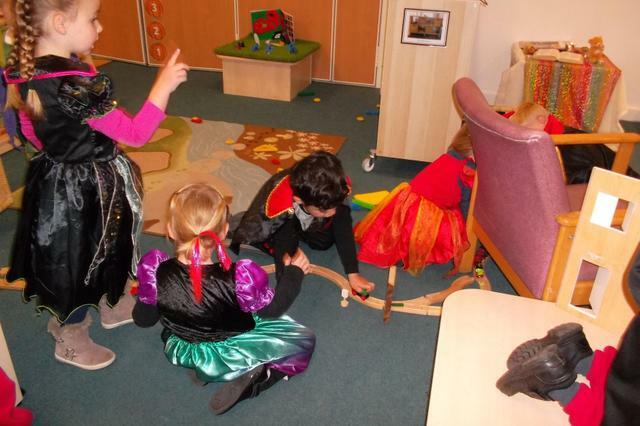 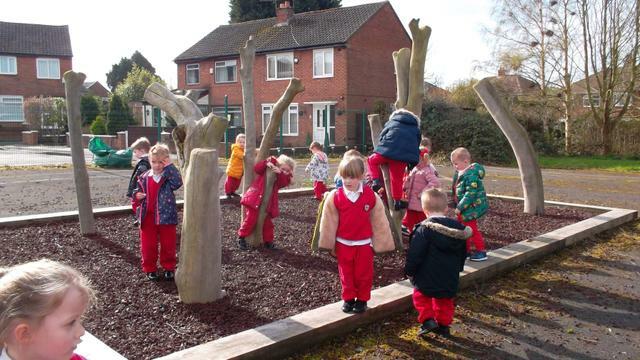 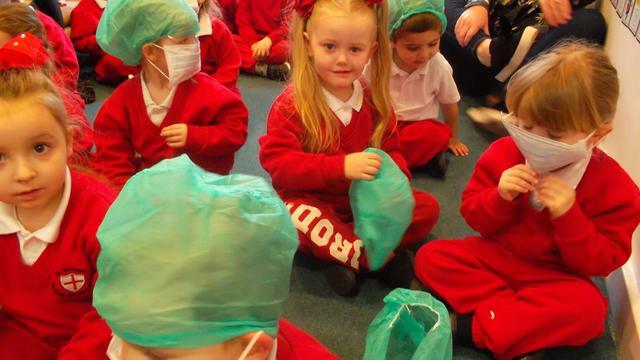 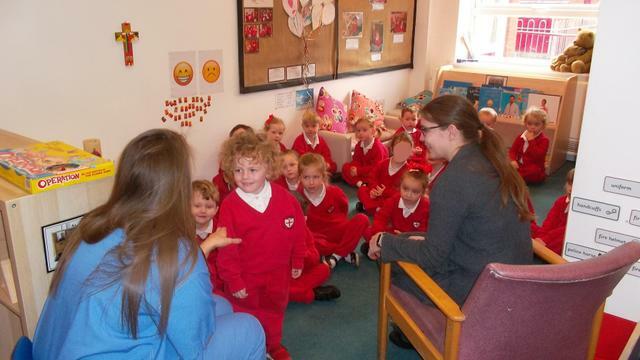 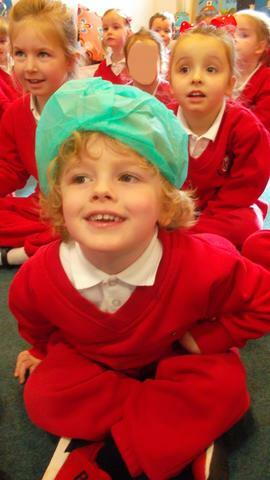 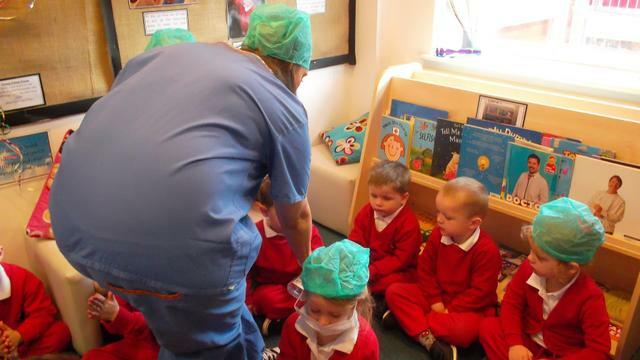 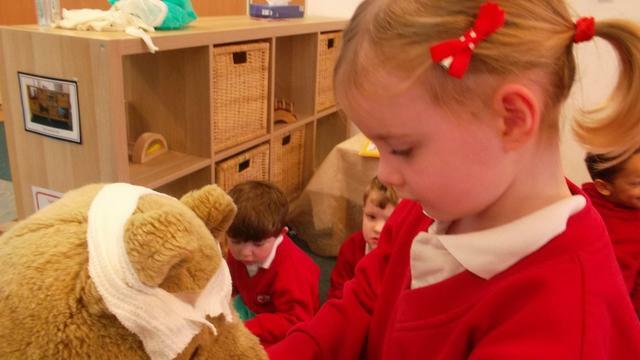 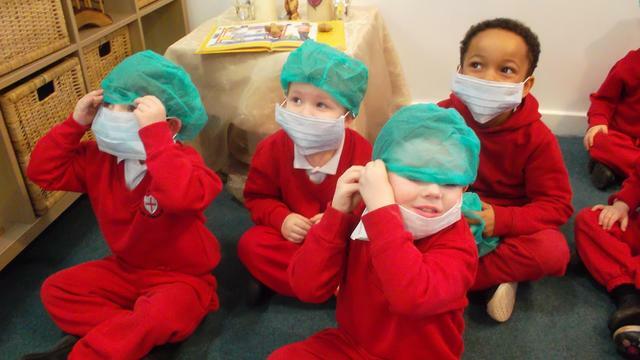 We are all beginning to settle in to Nursery well. 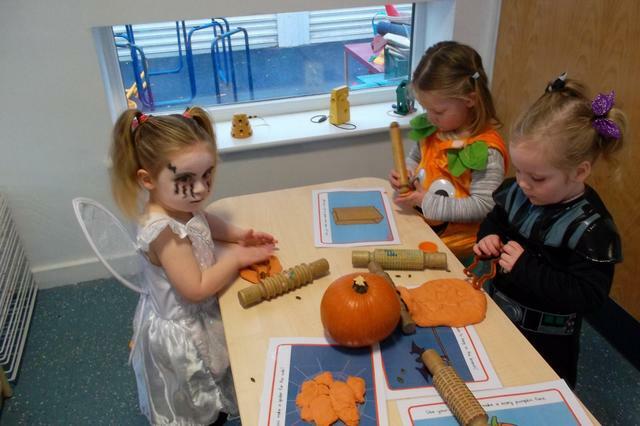 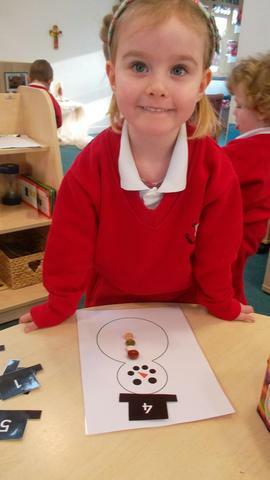 We have been learning all about 'ourselves' and are beginning to focus on Autumn. 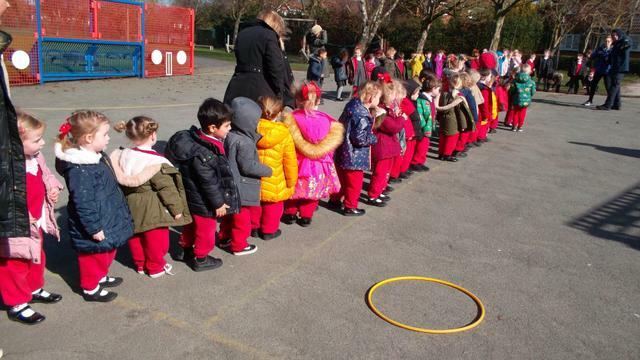 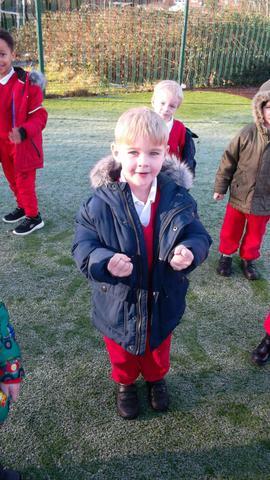 We have been singing lots of Nursery Rhymes together and we have been learning to make the sign of the cross together and learning our morning prayer. 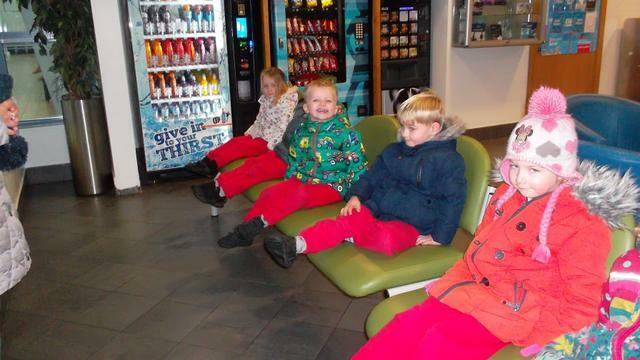 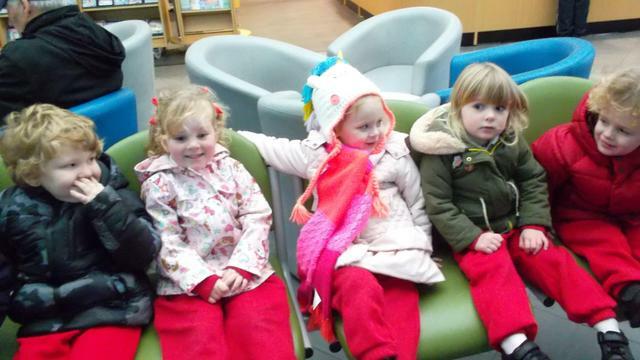 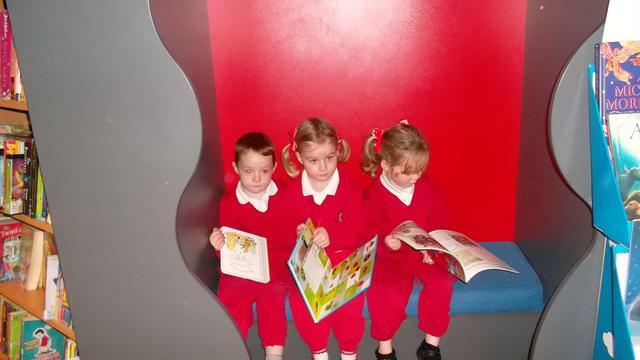 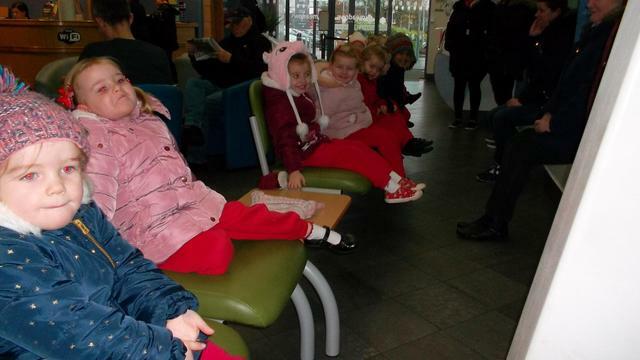 We all really enjoyed our walk to the Meadows to go to the library. 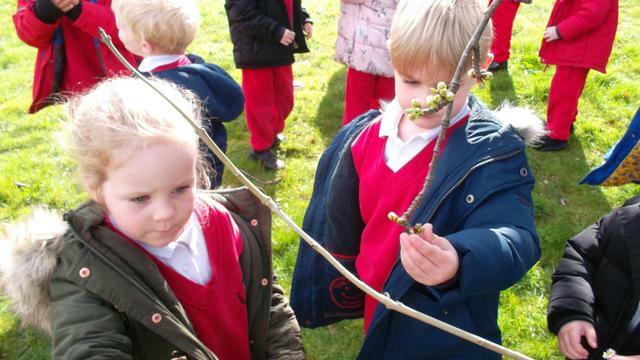 We had lots of fun spotting signs of Autumn on the way! 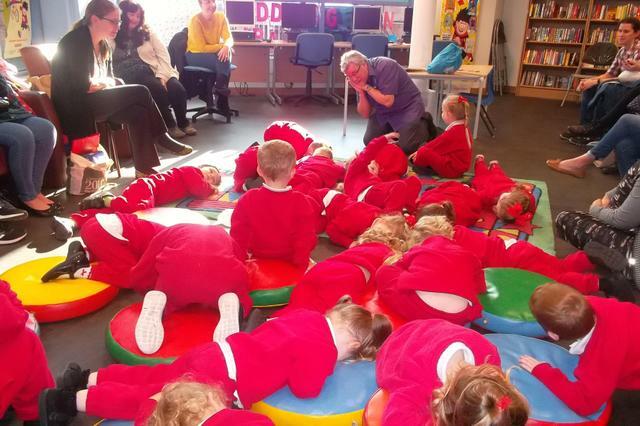 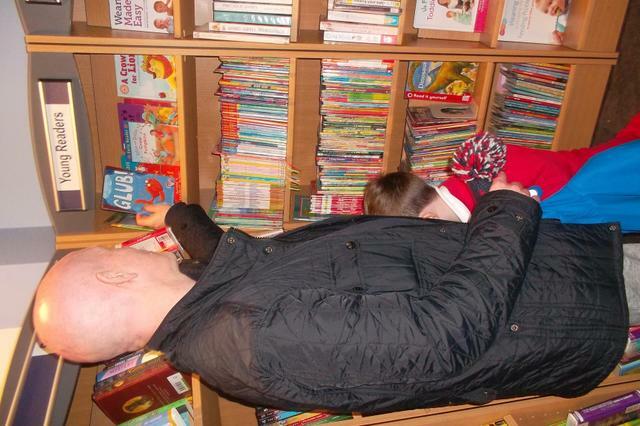 Michael from the library read us a lovely story called 'Yawn', which made us all yawn while we were listening, even the grown ups! 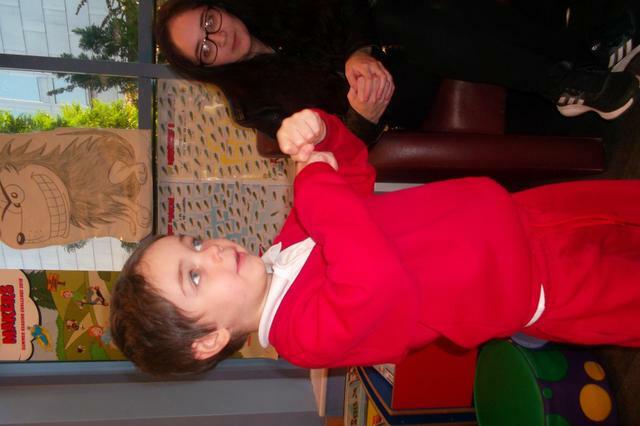 Michael then sang some nursery rhymes with us, we enjoyed rowing our boats and learning a new verse to 'incy wincy spider'! 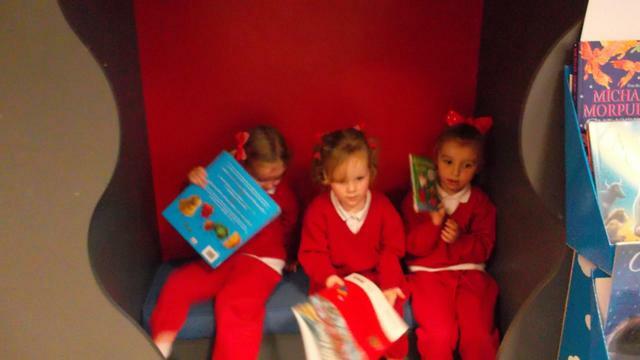 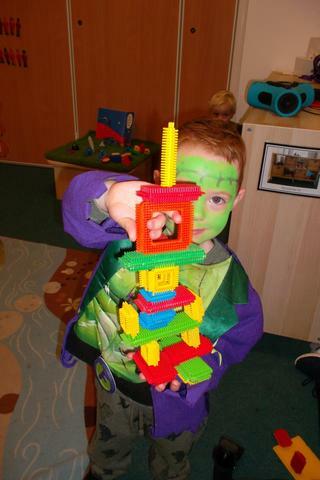 We will hopefully be making regular trips to the library to make use of such a fabulous resource on our doorstep! 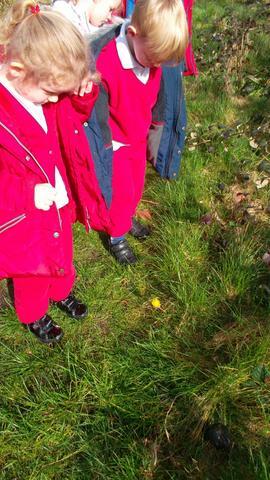 As part of our Autumn topic we went down to the forest to look for signs of Autumn. 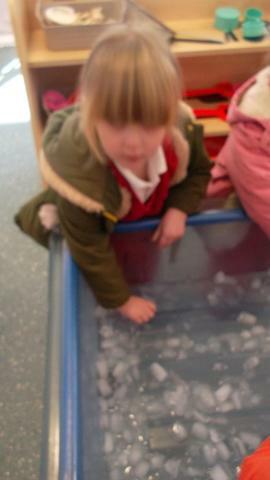 We collected lots of leaves, pine cones and seeds from the trees and we were able to add these to our sensory tray in the classroom. 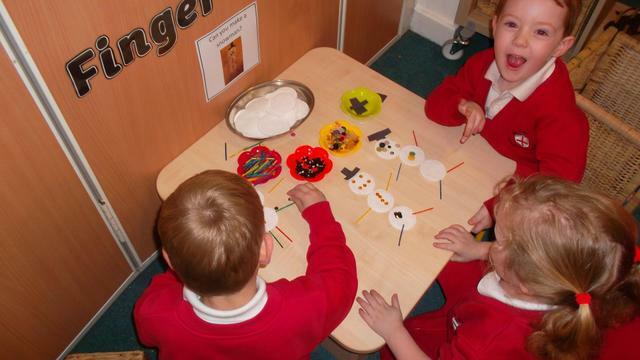 We will be using them to make artwork linked to the book 'Leaf Man'.